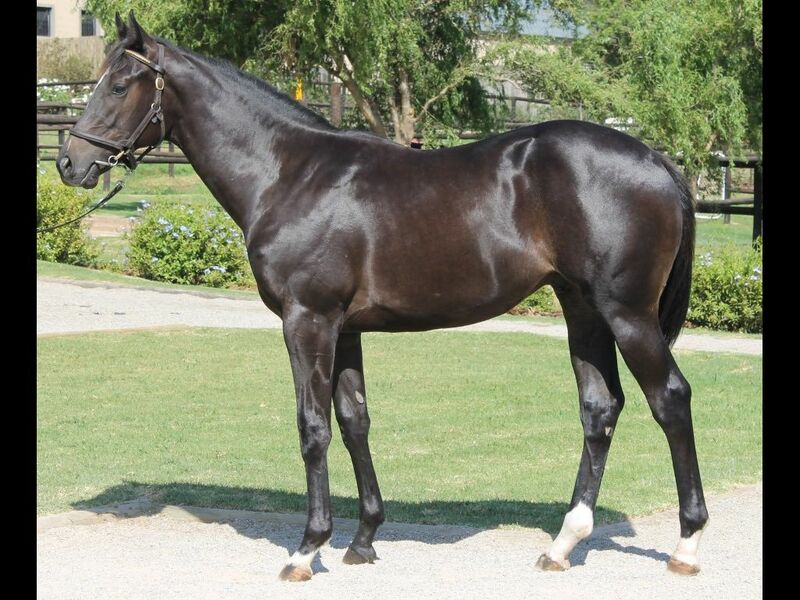 Closely related to Shadow Ofhis Smile (2010.c. 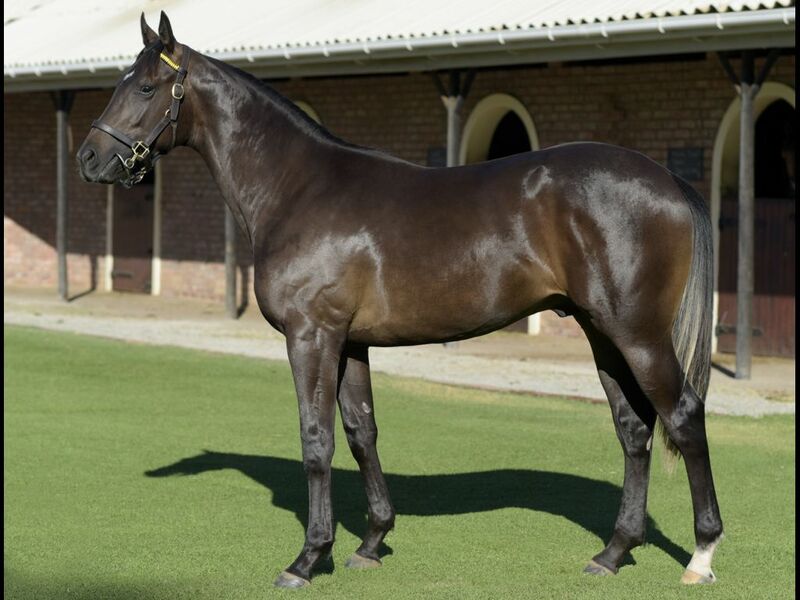 by Western Winter-Shadow Dancing, by Fort Wood-Off to War) - 1st Vaal Racing Association Graduation P.
From the same family as Highly Decorated (2010.f. 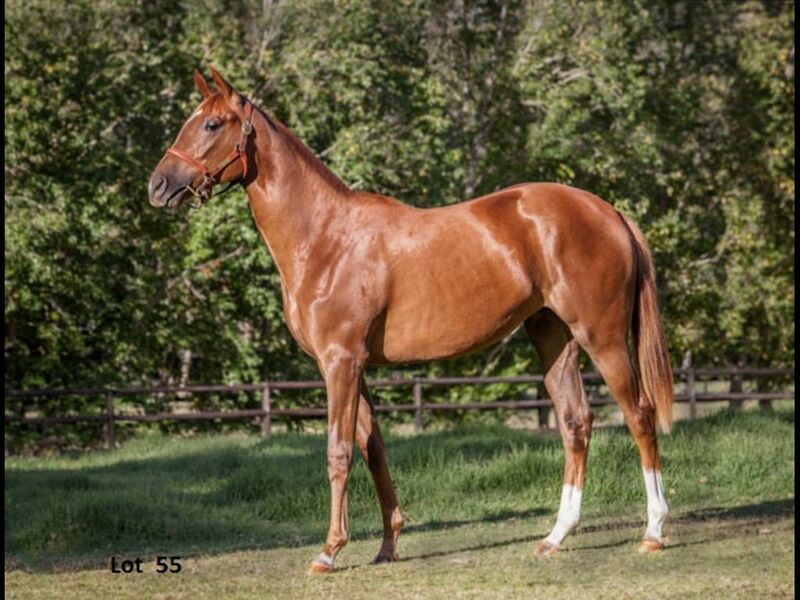 by Captain Al-Spring Garland, by Rambo Dancer-Garden Verse) - 1st Fairview Matken Enterprise Conditions P.
Half-Sister to Captain Haddock (2008.g. 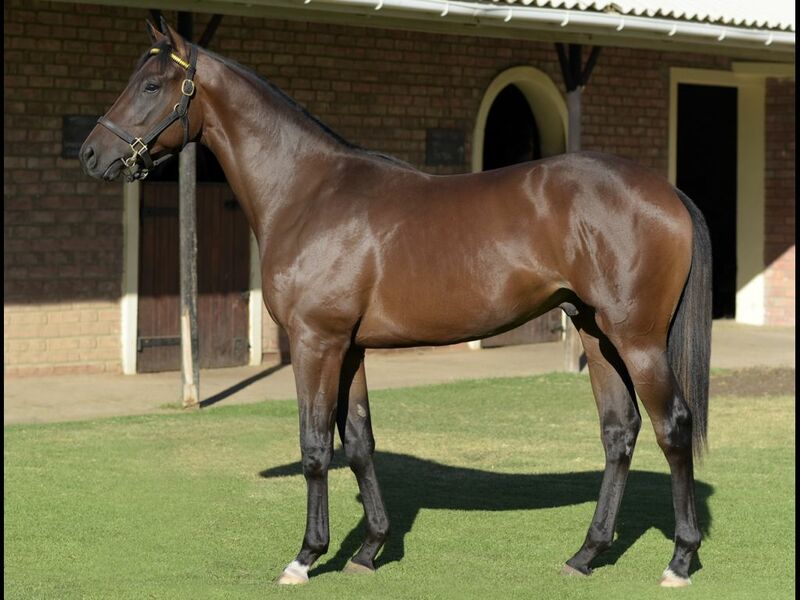 by Spectrum-Overarching, by Arch-Lonely Fact) - 3rd Vaal Racing It's a Rush P.
From the same family as Not Sulking (2010.f. 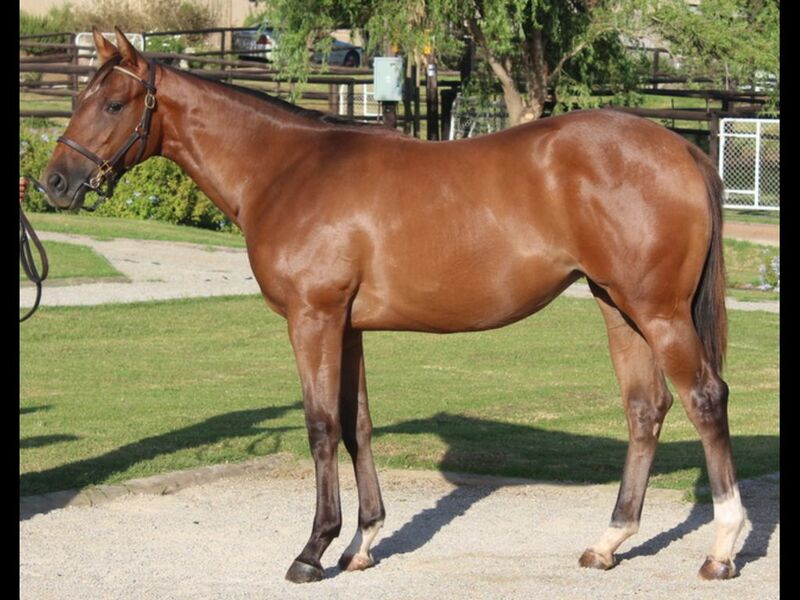 by Trippi-Dragoncharm, by Silver Hawk-Dragonada) - 1st Turffontein All to Come Progress P.
Half-Sister to Belle Coco (2010.f. 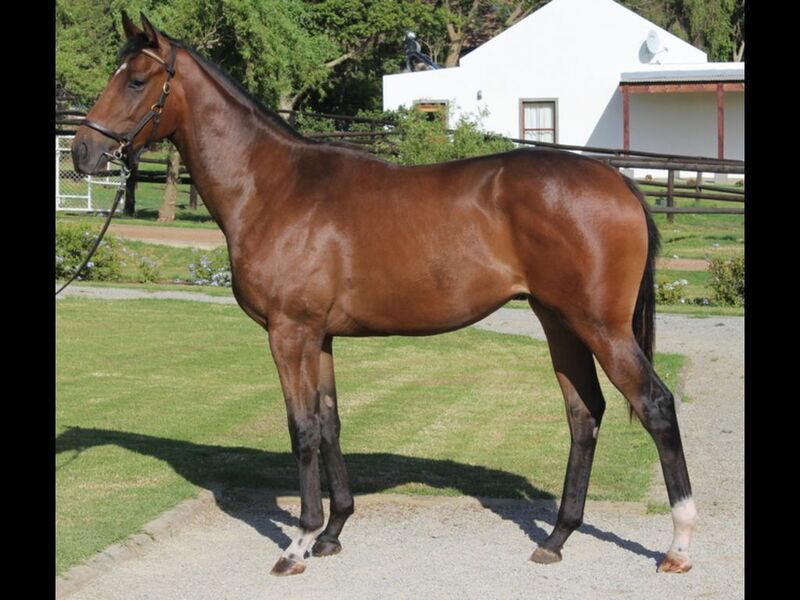 by Jet Master-Page Girl, by Saumarez-Popular Girl) - 2nd Fairview Racing, It's a Rush H., 3rd Fairview Racing It's a Rush H.
Half-Brother to Tycoon Touch (2008.g. 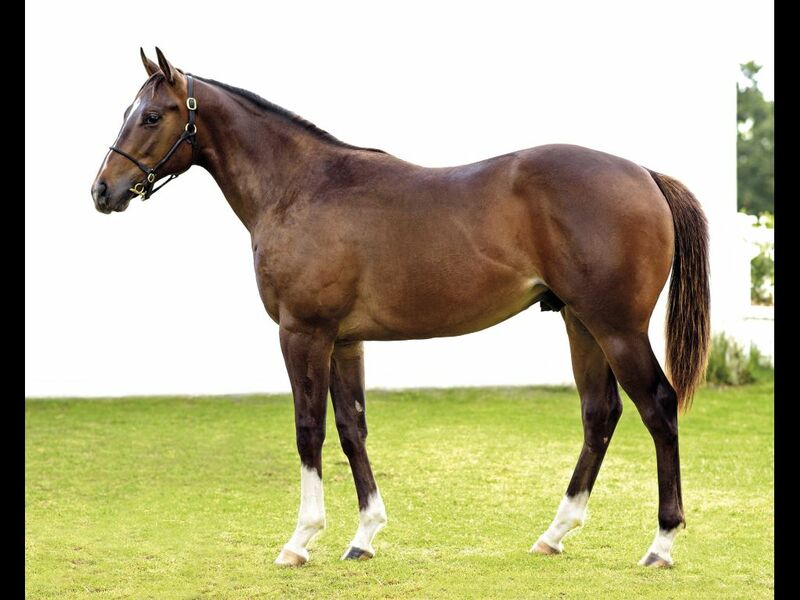 by Royal Applause-Polar Charge, by Polar Falcon-Take Charge) - 2nd Greyville Pipemech H.
Half-Sister to October Eleventh (2010.g. 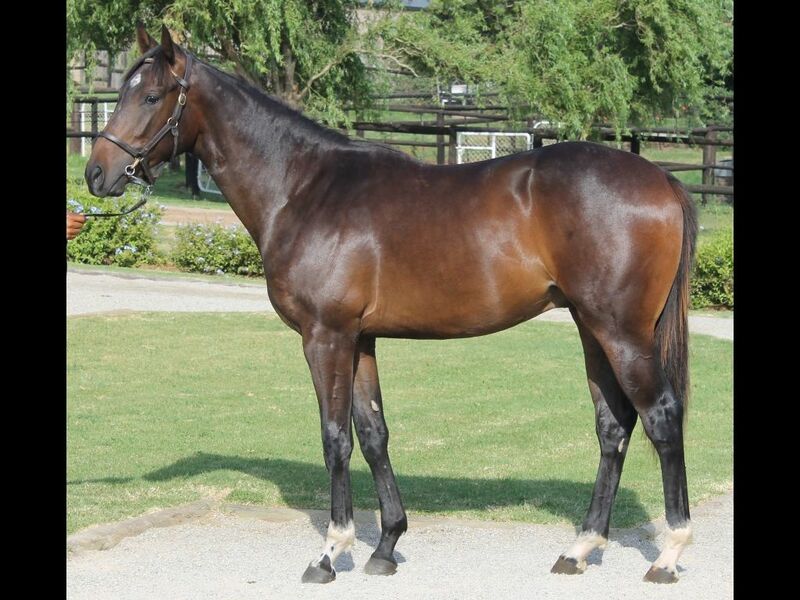 by Var-Quest for Gold, by Jallad-Golden Apple) - 1st Vaal Book a Table H.
Half-Brother to RED BARREL (2008.g. 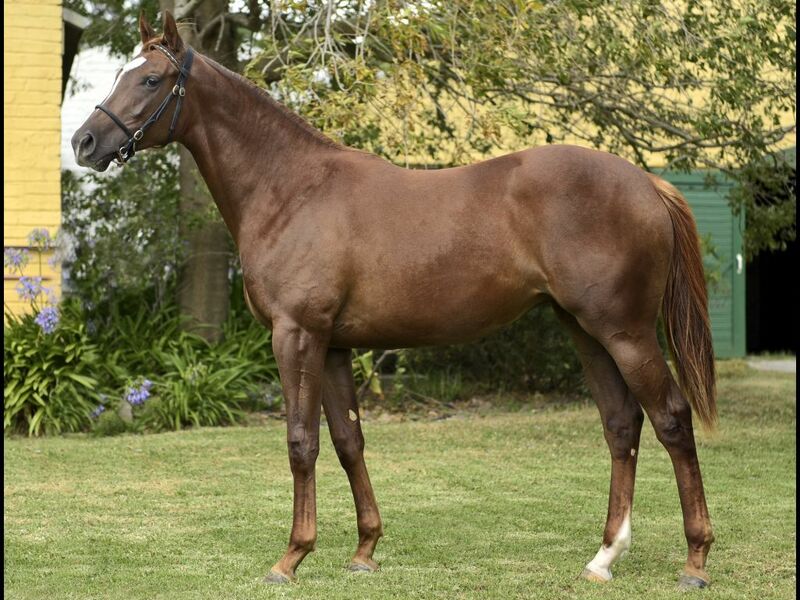 by Right Approach-Red Kaschka, by Elliodor-Rhapsody in Red) - 1st Fairview Memorial Mile L, 1st Fairview Racing. 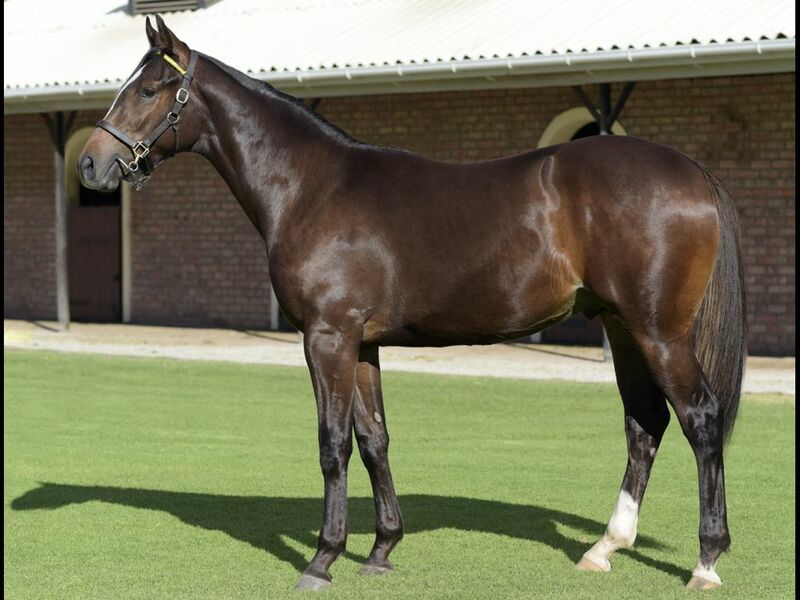 It's a Rush S.
Out of a sibling to Africa's Delight (2009.f. 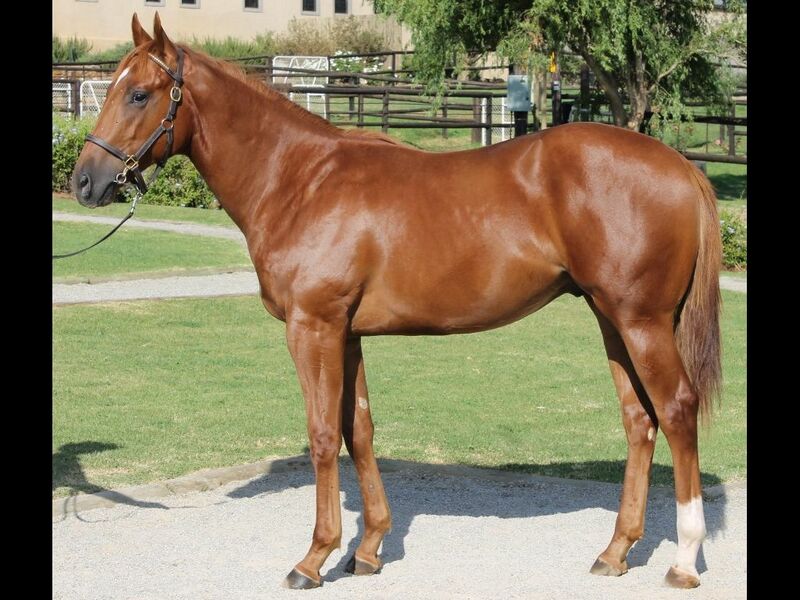 by Silvano-Rhapsody in Red, by Red Ryder-Northern Singer) - 1st Vaal Rugby 5 Maiden P.
Closely related to Fortissimo (2011.c. 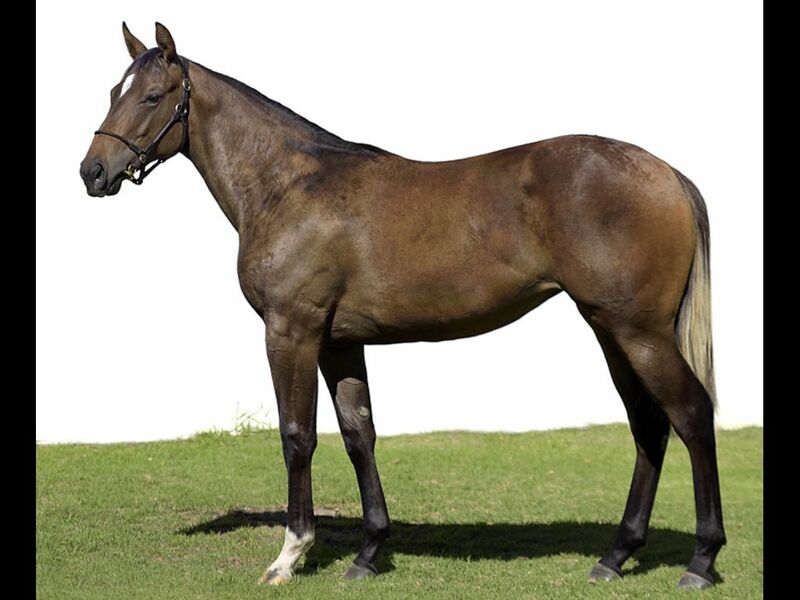 by Fort Beluga-Dancing Rhapsody, by Qui Danzig-Rhapsody in Red) - 1st Greyville Soccer GG H.
Closely related to Alpha Pegasi (2011.c. by Captain Al-Star of Pegasus, by Jallad-Miss Mags) - 1st Kenilworth Itsarush.Co.Za H.
Closely related to Facinating Filly (2010.f. 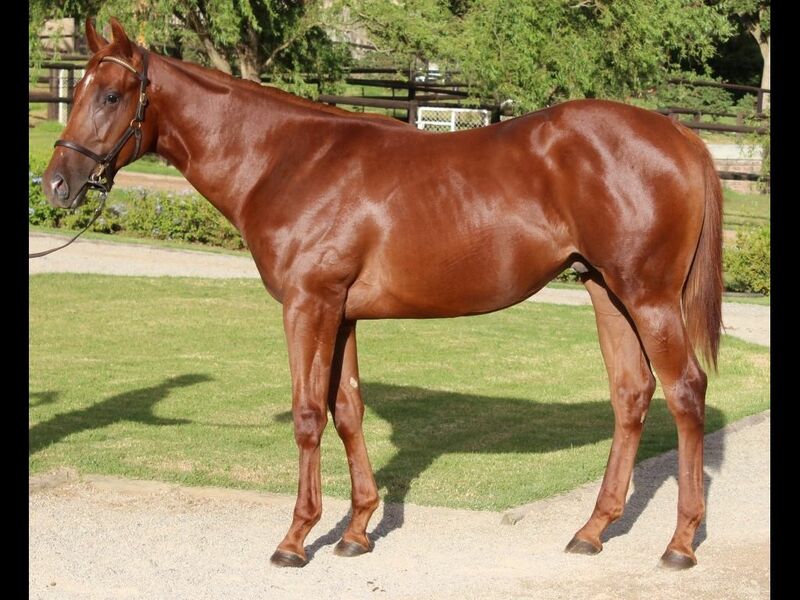 by Antonius Pius-Tango in the Forum, by Caesour-Rootin' Tootin') - 1st Fairview Thank You for Joining Us Today H.
Out of a sibling to Se Agabor (2011.f. 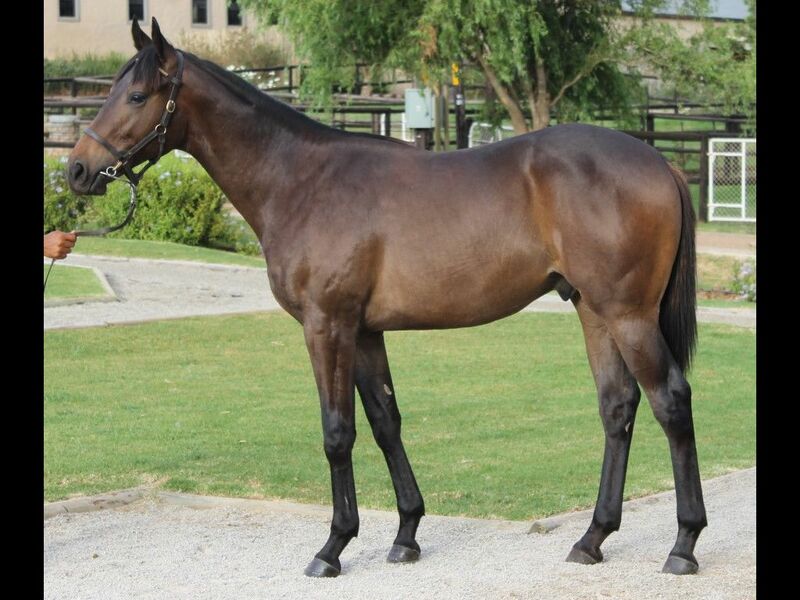 by Trippi-Roxy Cafe, by Royal Chalice-Jungle Class) - 1st Greyville Rugby 5 H.
Half-Sister to Three Blue Cranes (2011.f. 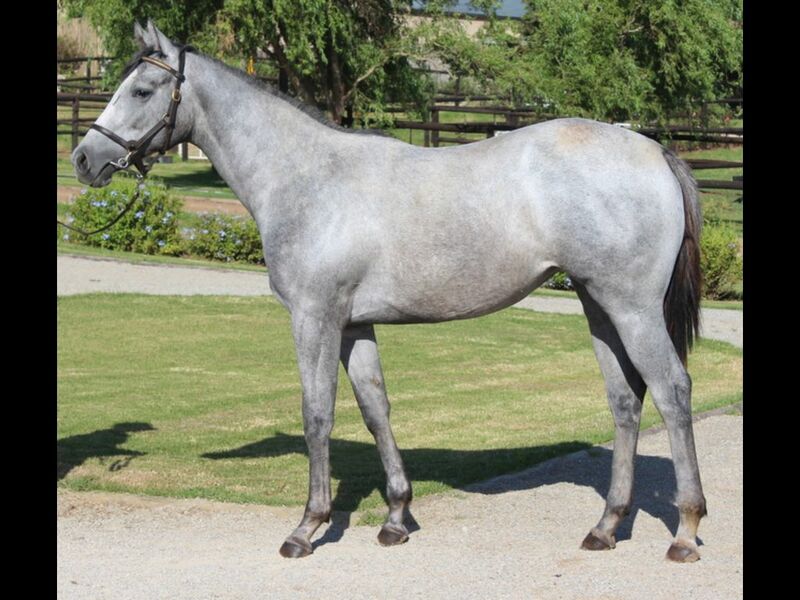 by Captain Al-Sage Blue, by Badger Land-Grey Blue) - 2nd Fairview Book a Table at Our Next Race Day Novice P.
Half-Sister to Zortziko (2010.c. 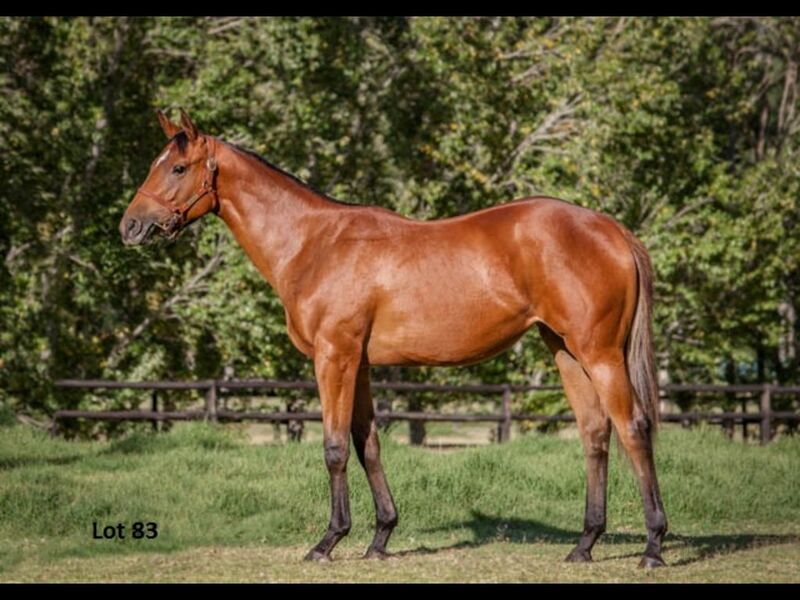 by Jet Master-Sarabande, by Goldmark-Blitz Polka) - 1st Vaal Itsarush.Co.Za H., 1st Vaal Thank You for Your Patronage H.
Closely related to Malta Rocks (2011.c. 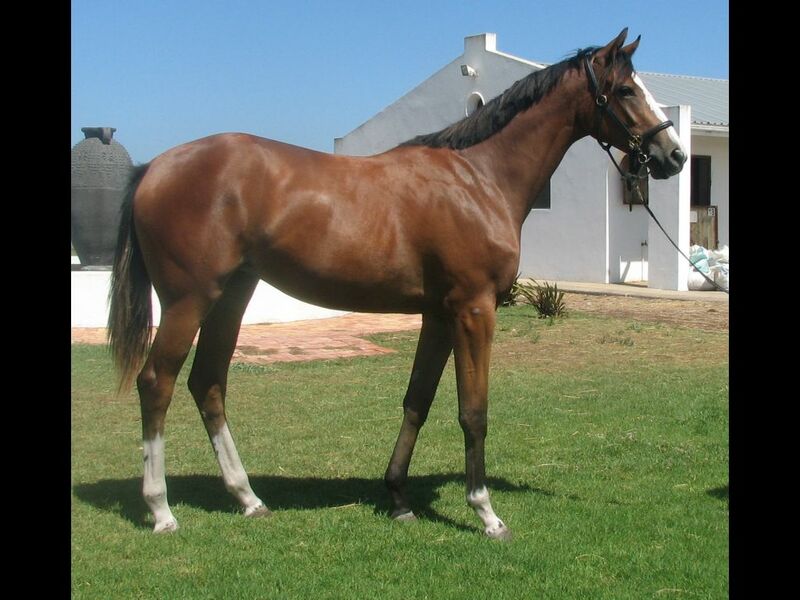 by Seventh Rock-Valeta, by Var-Sarabande) - 1st Vaal Book a Table H.
Half-Brother to Strong Man Sam (2010.c. 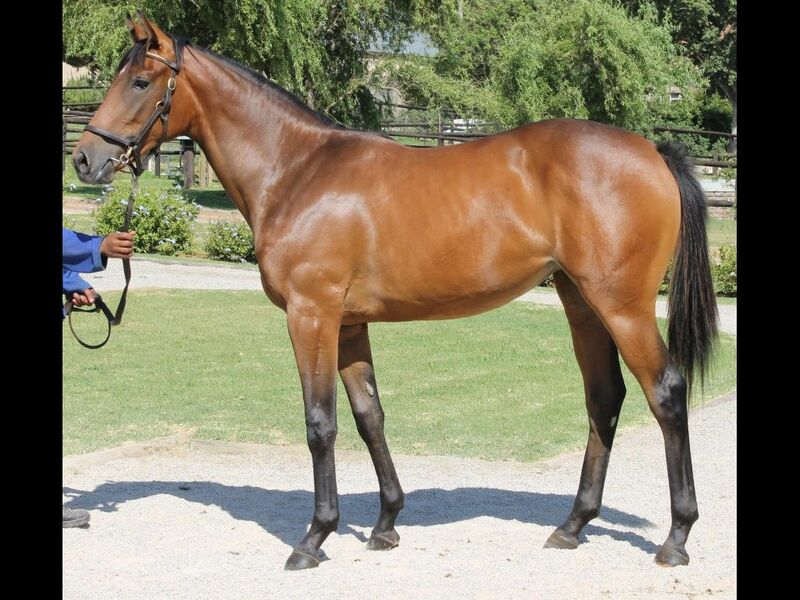 by Antonius Pius-Savannah Breeze, by Badger Land-Pretty Falcon) - 1st Fairview Welcome to Fairview Racecourse Maiden P., 1st Fairview Book a Table at Our Next Raceday H.
Closely related to African Heritage (2011.f. 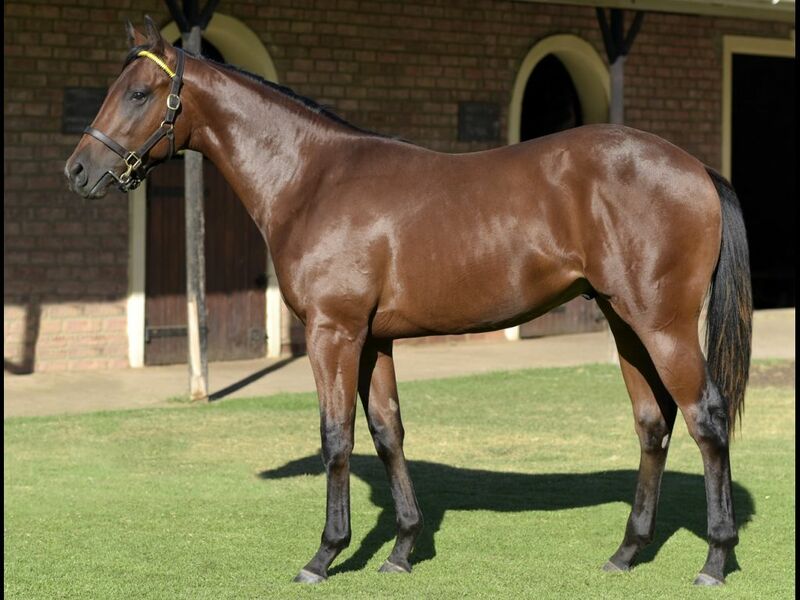 by Dynasty-Rippling Savannah, by National Assembly-Savannah Breeze) - 1st Fairview All to Come Maiden P.
Half-Brother to Captain Sam (2011.c. 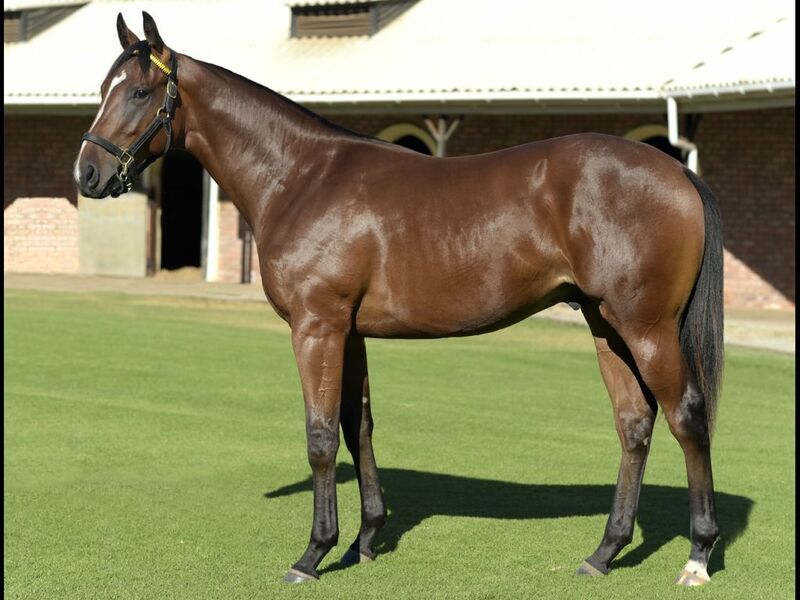 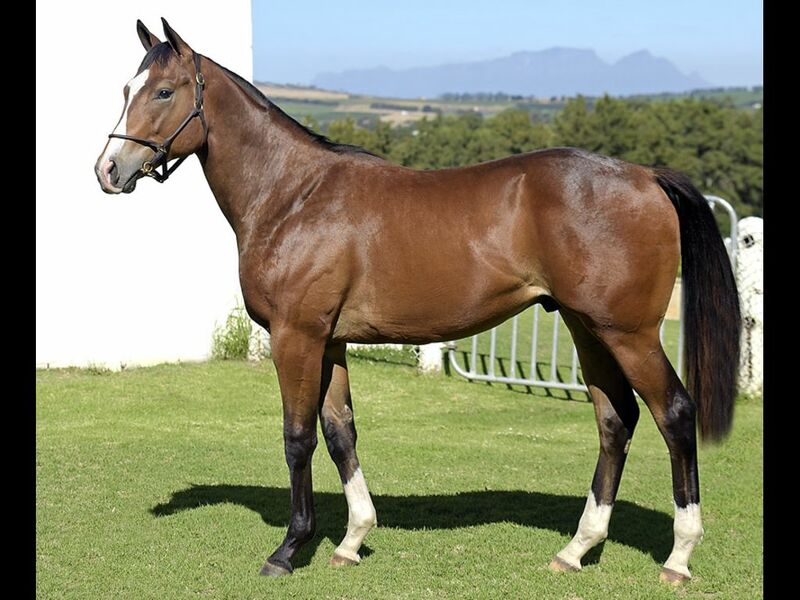 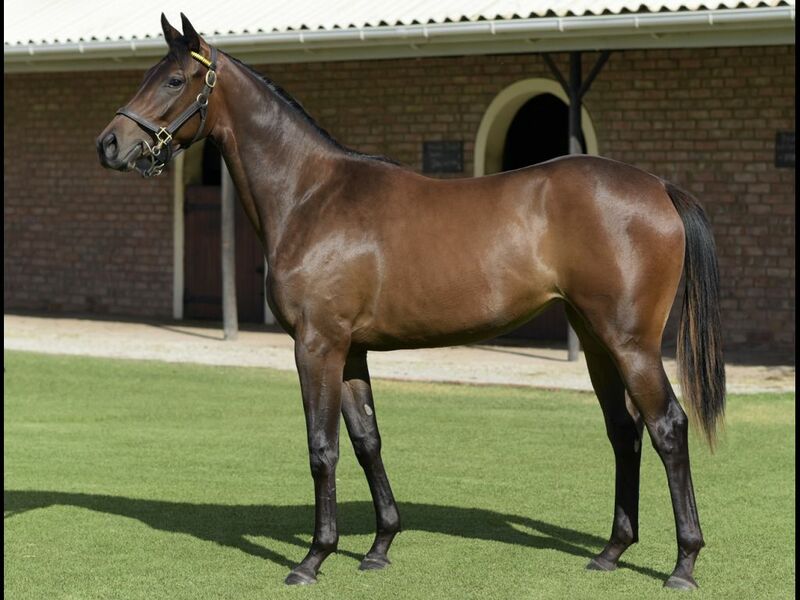 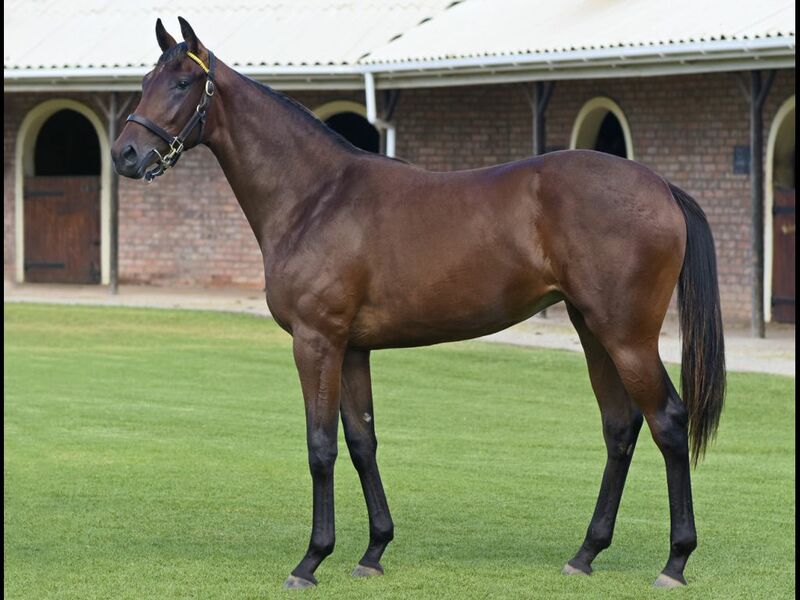 by Captain Al-Scented Samantha, by National Assembly-Scented Royal) - 1st Kenilworth Kuda Insurance Maiden P.
Out of a sibling to Sainte Camille (2011.f. 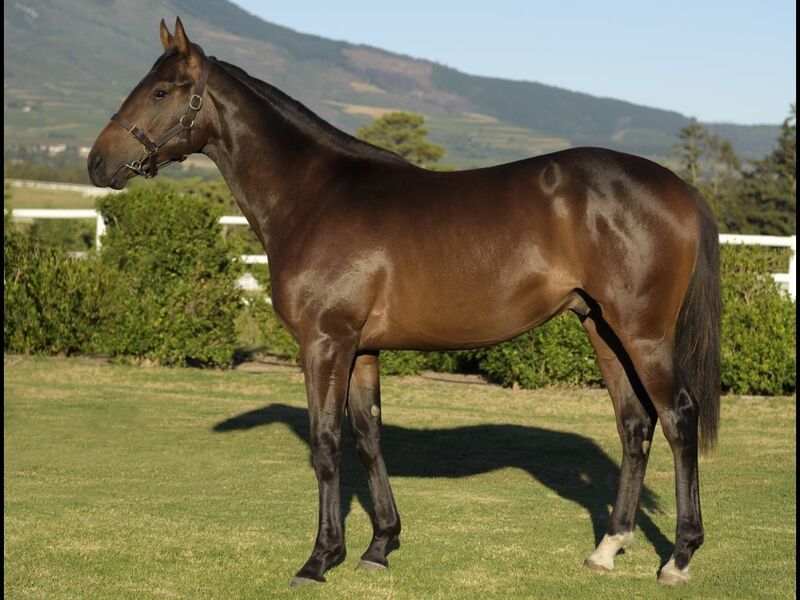 by Lateral-Scented Royal, by Royal Prerogative-Diorissimo) - 1st Scottsville Soccer Gg Maiden P.
Half-Brother to Silence Descends (2011.c. 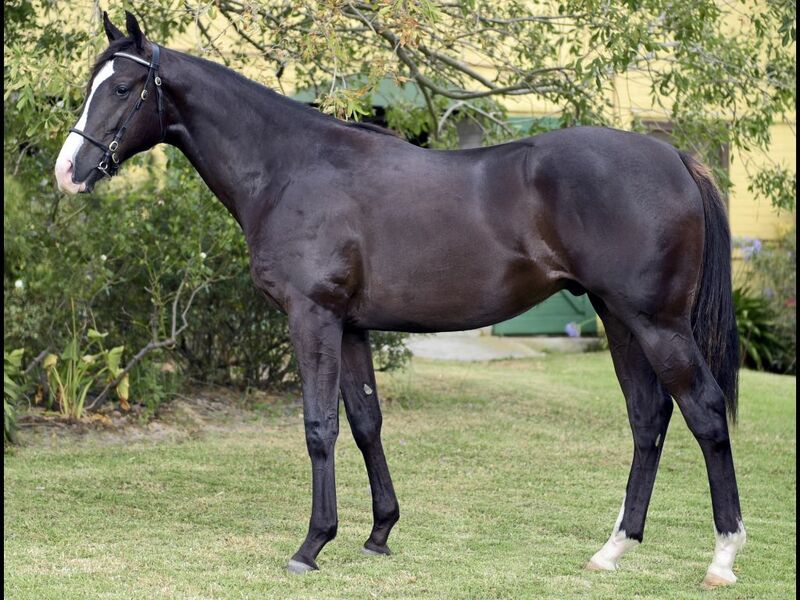 by Captain Al-School Assembly, by National Assembly-Visionary) - 1st Turffontein Thankyou for Joing Us Today H.
From the same family as Aerobar (2011.f. 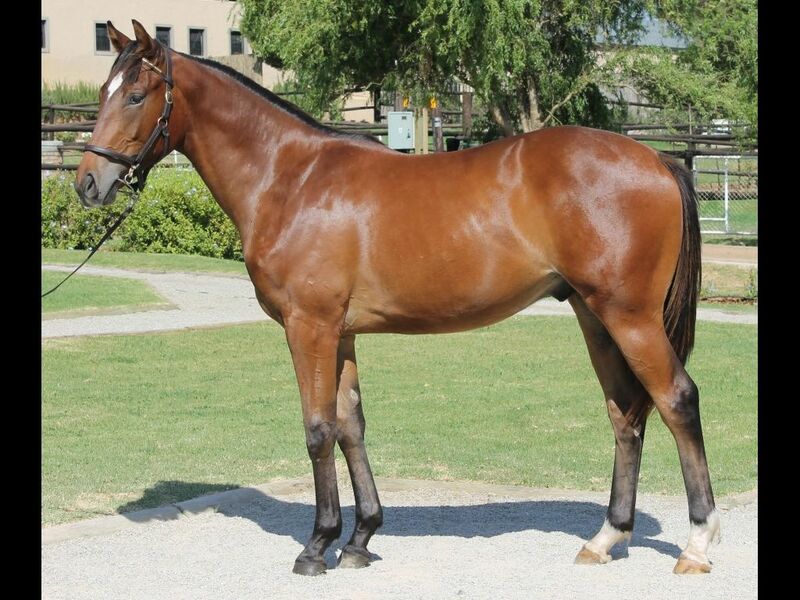 by Flying Spur-Flavoured, by Hussonet-Almond Essence) - 1st Wyong Magic Millions 3YO S.
Brother to Shadow Ofhis Smile (2010.c. 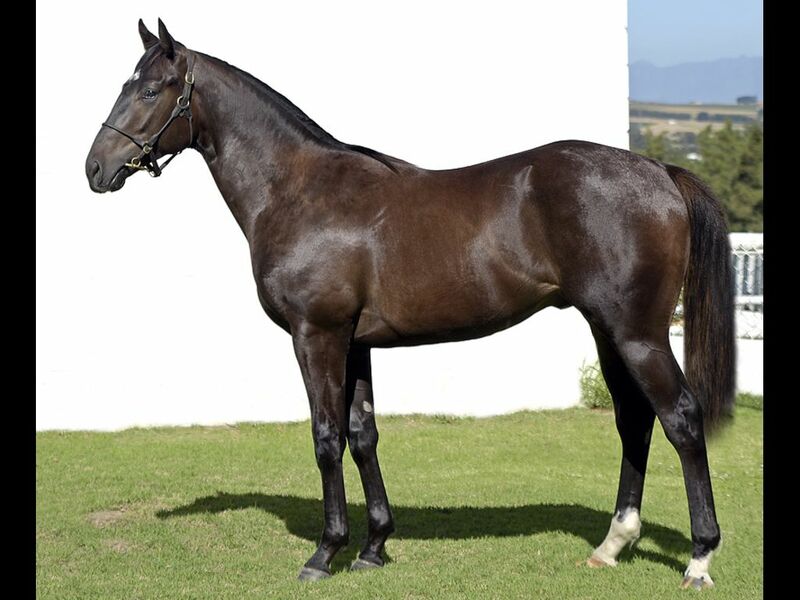 by Western Winter-Shadow Dancing, by Fort Wood-Off to War) - 1st Vaal Racing Association Graduation P., 2nd Turffontein Hifi Corp H.
Brother to SEDGE (2009.g. 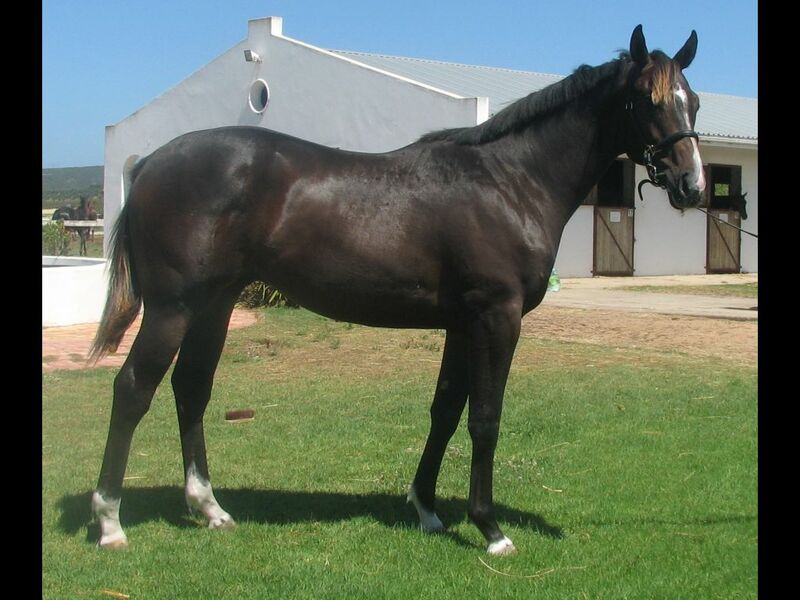 by Silvano-Shasta Daisy, by Rakeen-Scented Royal) - 3rd Fairview Itsarush.Co.Za S.
Brother to Silver Scooter (2010.c. 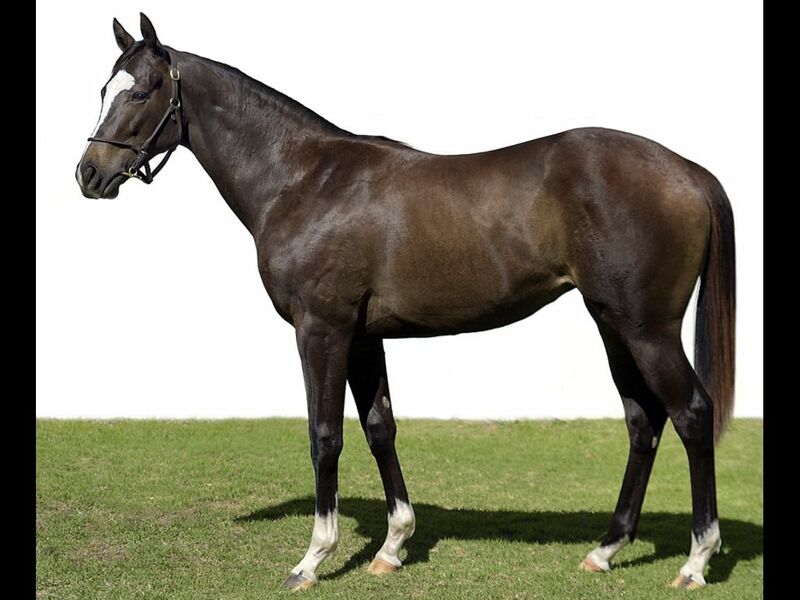 by Silvano-Shasta Daisy, by Rakeen-Scented Royal) - 2nd Turffontein Thank You for Joining Us Today H.
Half-Brother to Summit (2011.c. 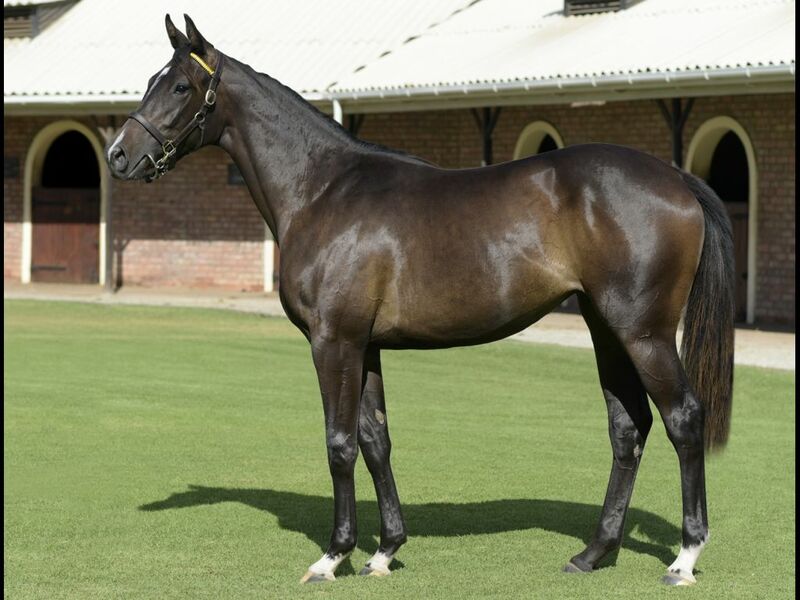 by Black Minnaloushe-Shasta Daisy, by Rakeen-Scented Royal) - 3rd Turffontein Welcome to Turffontein Maiden P.
Half-Brother to Solar Triptych (2010.c. 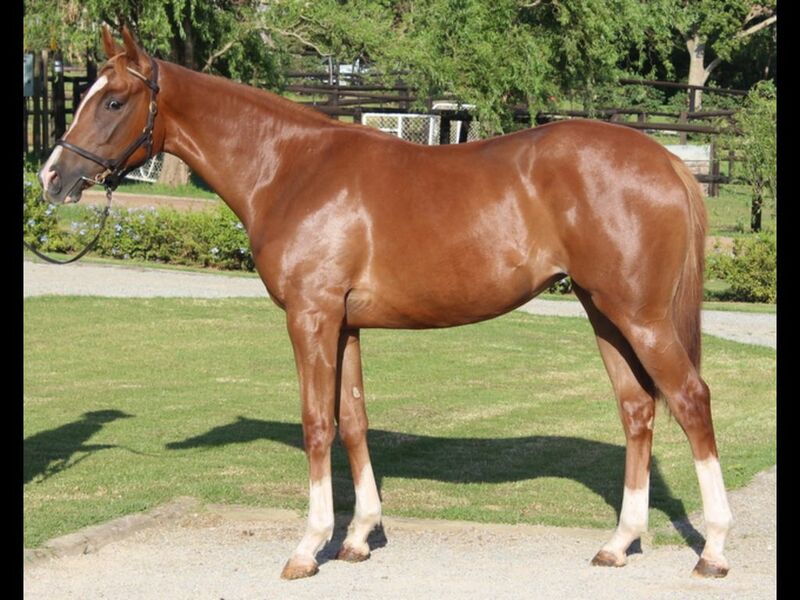 by Trippi-Solar Galleon, by Captain Al-Queen of Rubies) - 1st Vaal Racing Association H., 1st Vaal Book a Table H.
Half-Brother to Stem in Die Bos (2011.c. 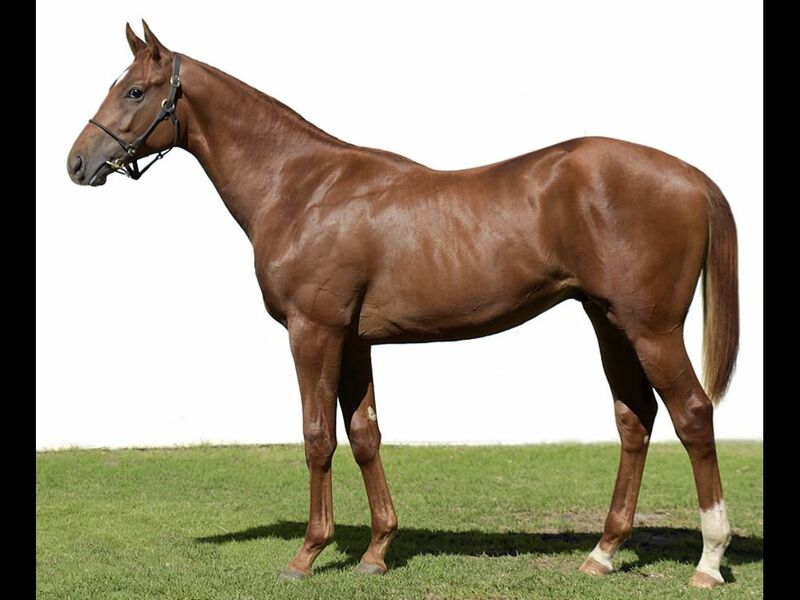 by Trippi-State Factor, by National Assembly-Corn Factor) - 1st Kenilworth Welcome to Kenilworth Racecourse Maiden P., 2nd Kenilworth Kuda Insurance Maiden P., 3rd Kenilworth WC Bookmakers Maiden P.
From the same family as Se Agabor (2011.f. 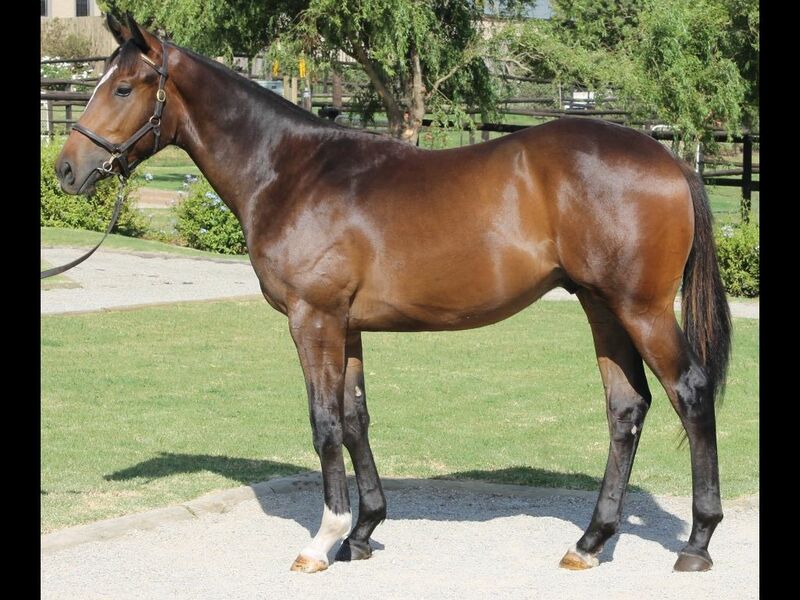 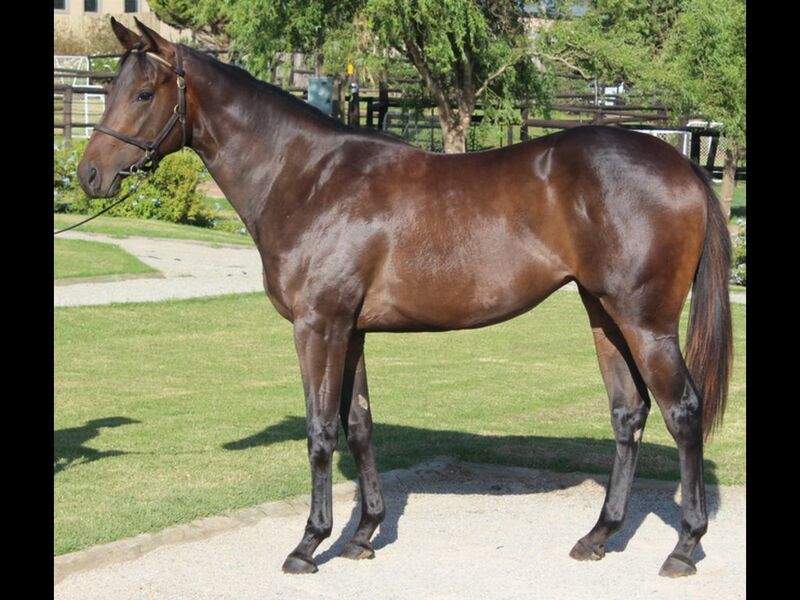 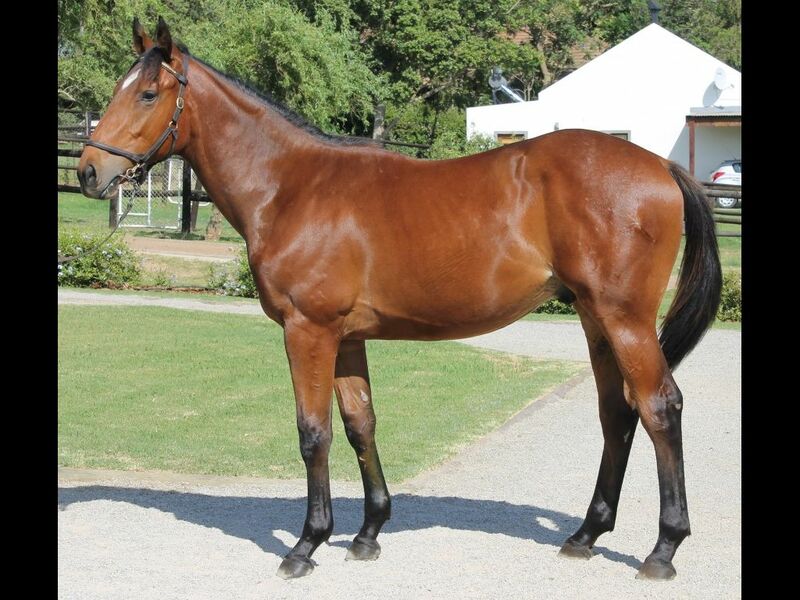 by Trippi-Roxy Cafe, by Royal Chalice-Jungle Class) - 1st Greyville Rugby 5 H.
Half-Sister to Entree (2011.c. 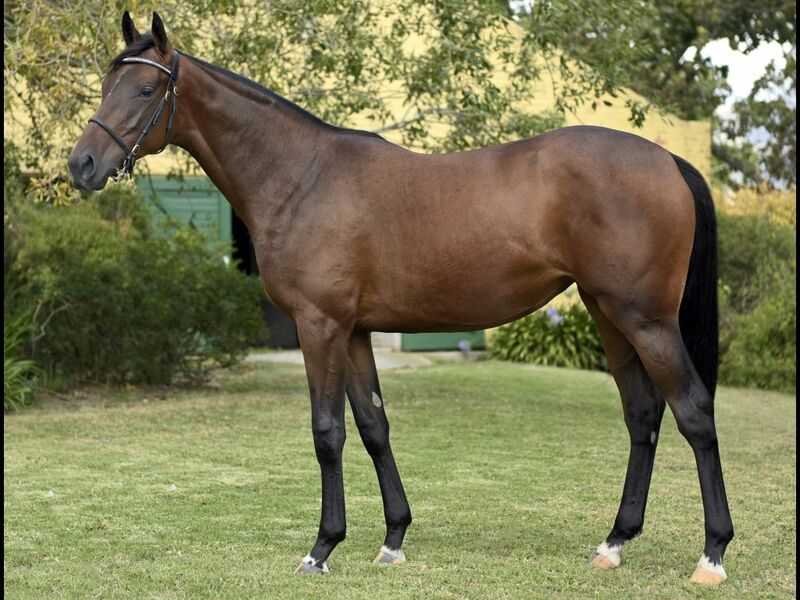 by Right Approach-Summer Angel, by Jet Master-Evangalista) - 3rd Greyville Gold Circle Welcomes Piere Strydom Maiden P., 3rd Greyville Bet on Your Phone at Www.Interbet.Mobi Maiden P.
Half-Sister to Time Odyssey (2011.g. 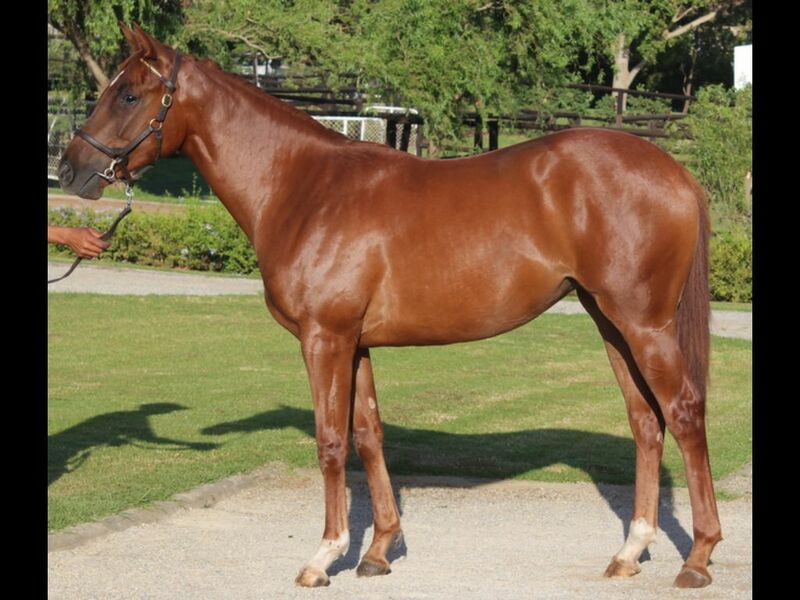 by Jet Master-Tachina, by Spectrum-Tadwiga) - 2nd Singapore TC Initiation P.
Out of a sibling to One Way Ticket (2011.f. 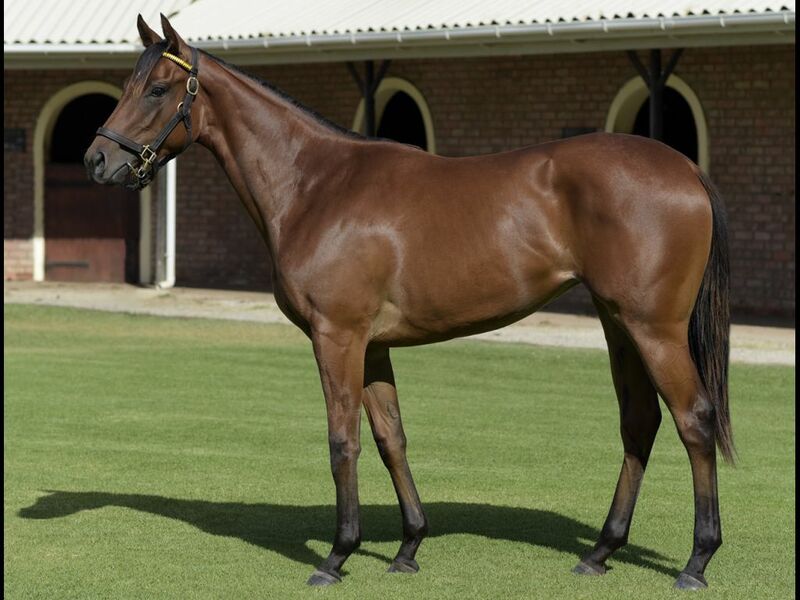 by Jet Master-Dame Kiri, by Flaming Rock-Duzz'nt Miss) - 1st Kenilworth Seasons of Champions Maiden P.
Half-Sister to Facinating Filly (2010.f. 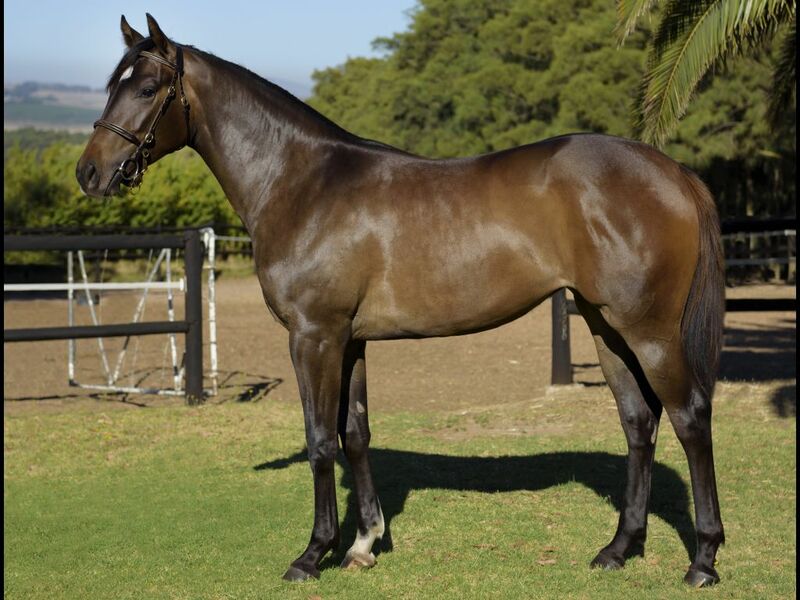 by Antonius Pius-Tango in the Forum, by Caesour-Rootin' Tootin') - 1st Fairview Thank You for Joining Us Today H., 2nd Fairview Eoh Fm 68 H., 3rd Fairview Thank You for Joining Us Today H.
Half-Sister to Malta Rocks (2011.c. 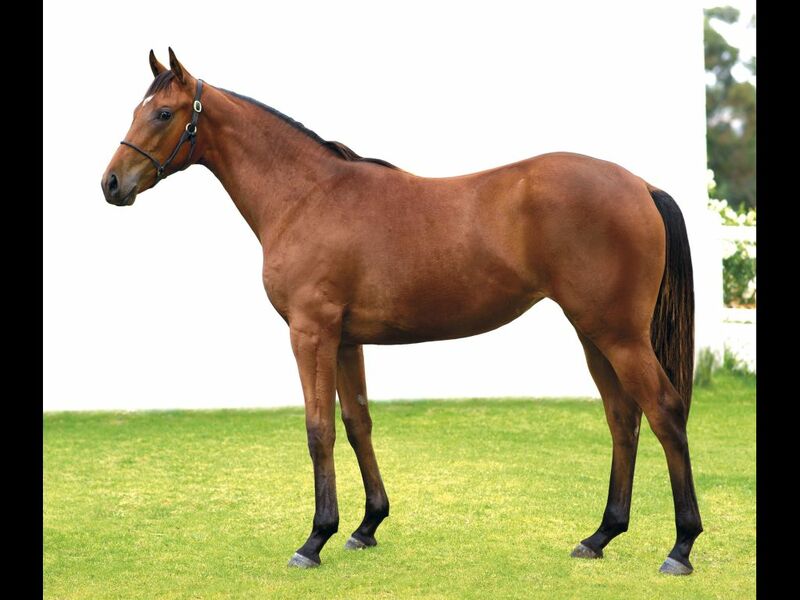 by Seventh Rock-Valeta, by Var-Sarabande) - 1st Vaal Book a Table H.
Out of a sibling to Zortziko (2010.c. 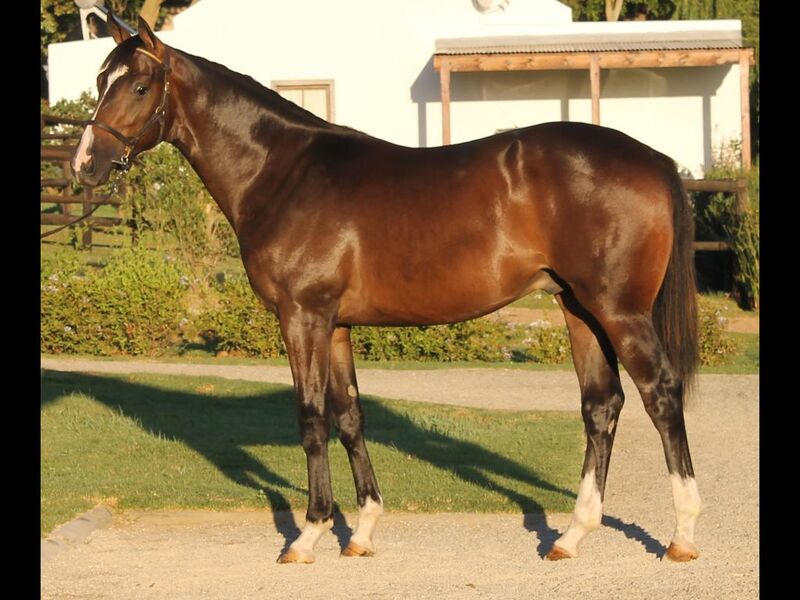 by Jet Master-Sarabande, by Goldmark-Blitz Polka) - 1st Vaal Itsarush.Co.Za H., 1st Vaal Thank You for Your Patronage H.
Closely related to Menacing (2009.g. 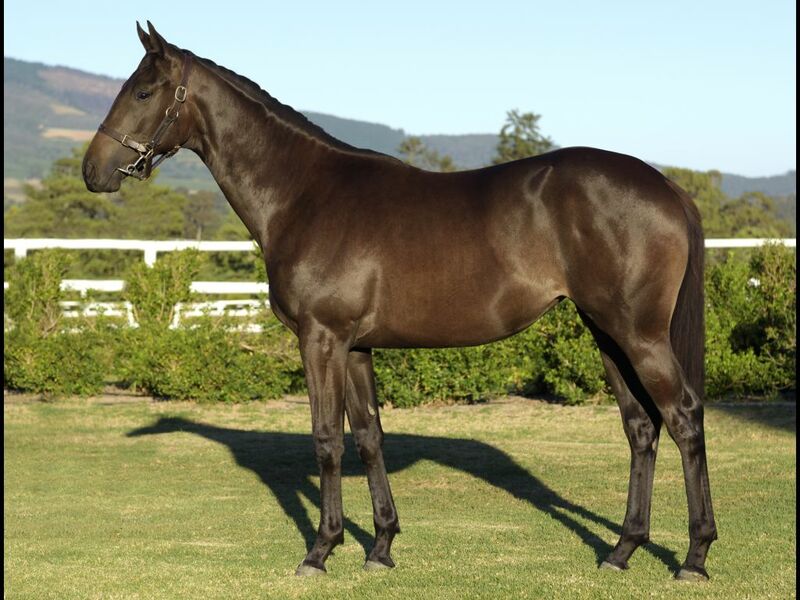 by Go Deputy-Fearsome, by Centenary-Daunting) - 1st Borrowdale Soccer 4 Pinnacle P.
Half-Sister to Viva la Var (2010.g. 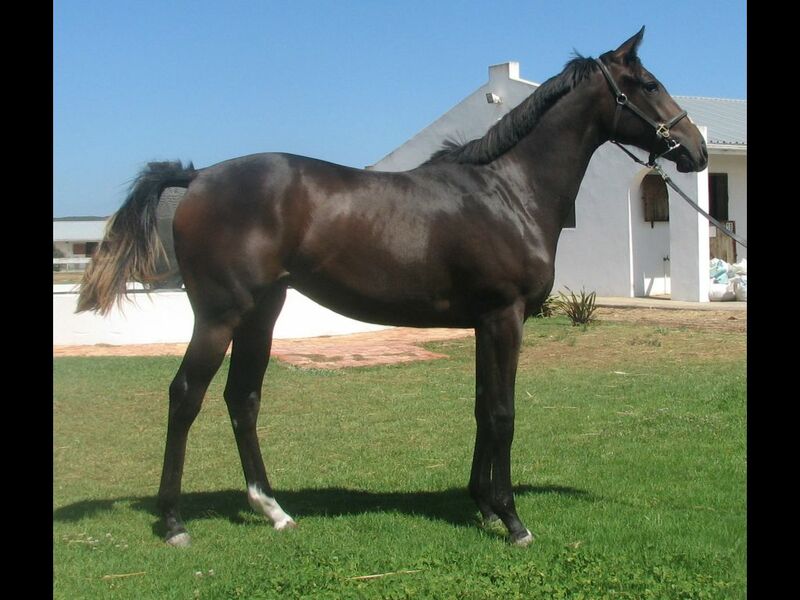 by Var-Viva, by National Assembly-Hot Grass) - 3rd Scottsville African Holly H.
From the same family as YOU THINK SO (2007.g. 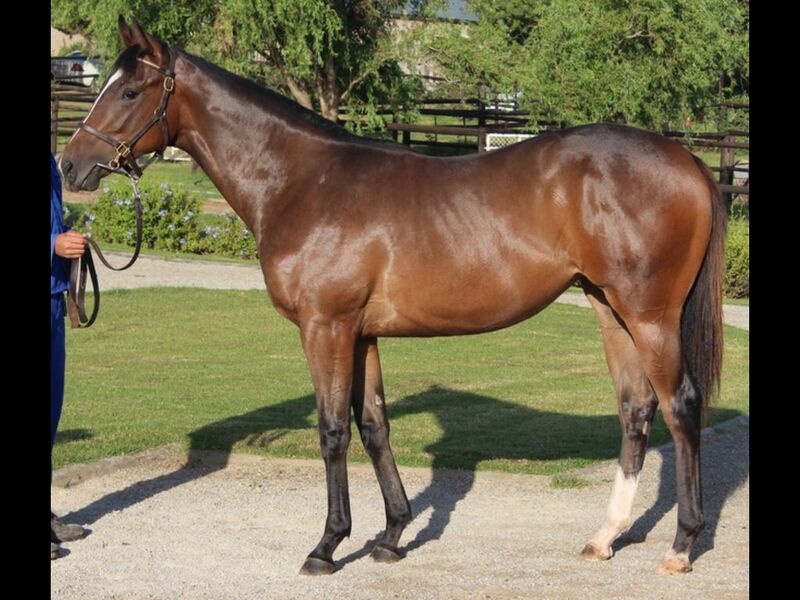 by Golan-Milly Molly, by Montjeu-Zatsalady) - 1st VRC (Flemington) Rain Lover H.
Half-Sister to Equity Kicker (2011.c. 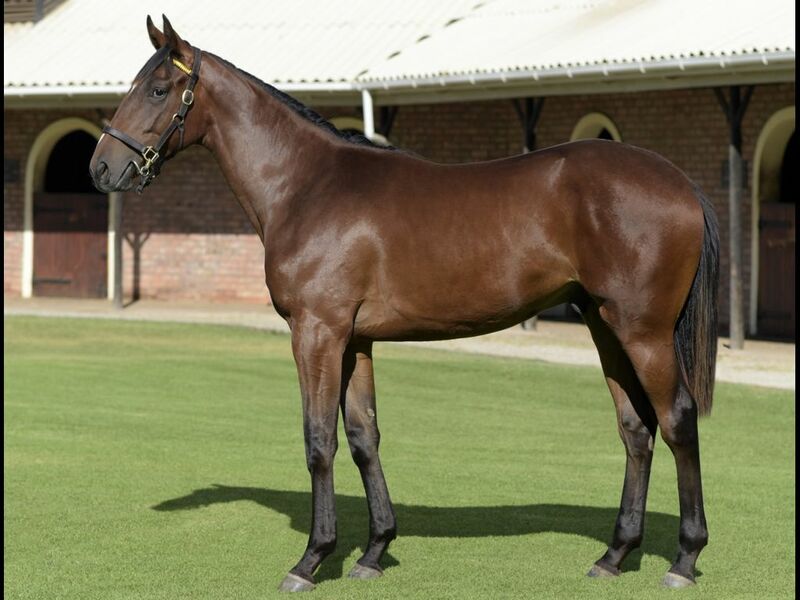 by Trippi-Wind Jammer, by Casey Tibbs-Entice the Wind) - 1st Kenilworth BMW Pinnacle S., 1st Kenilworth Racing. 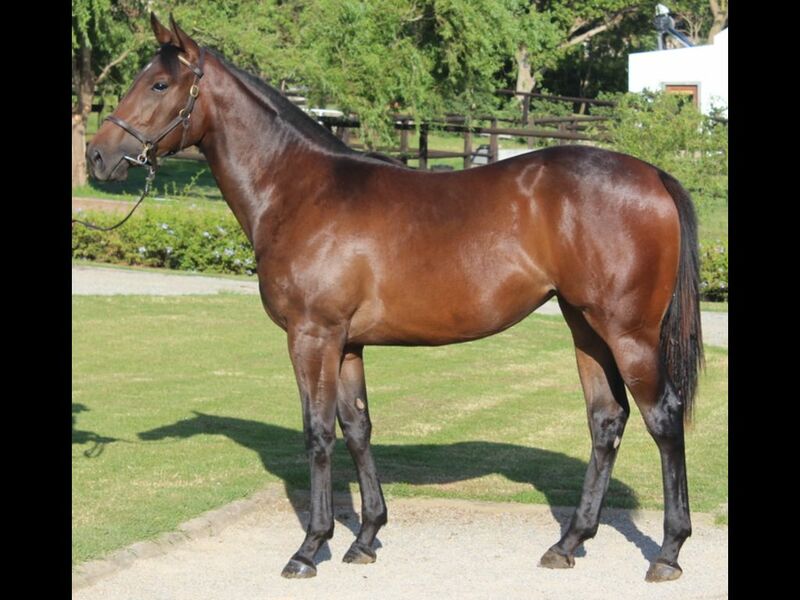 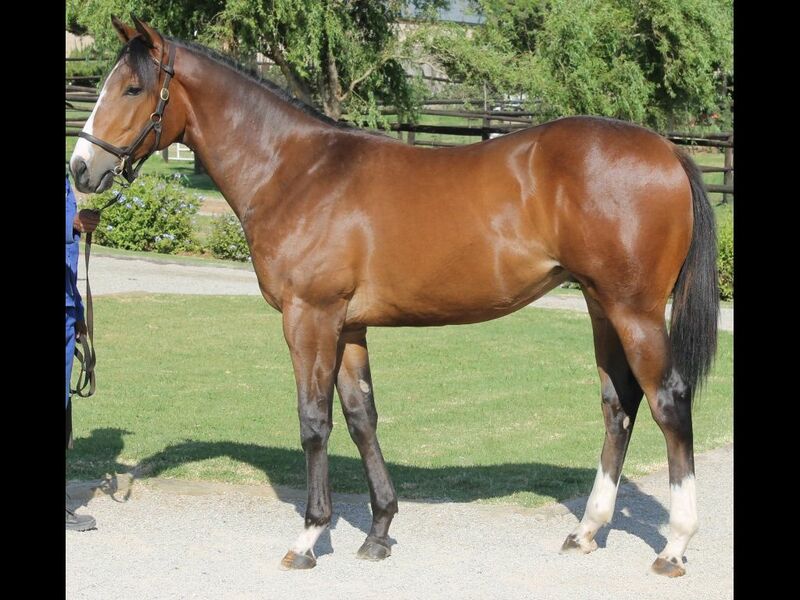 It's a Rush H., 3rd Kenilworth Drakenstein Stud H.
Closely related to Mistaken Identity (2010.f. 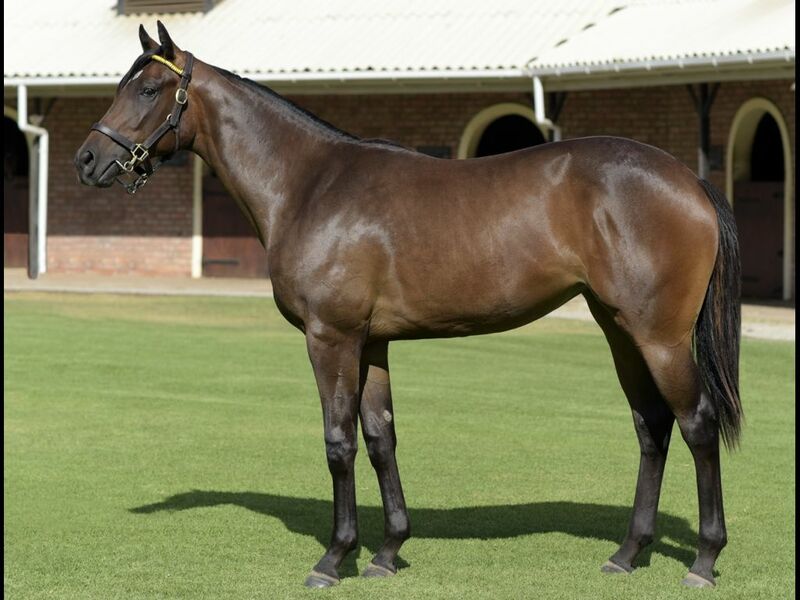 by Casey Tibbs-Levantera, by Goldmark-Entice the Wind) - 1st Turffontein Thank You for Joining Us Today H.
Half-Brother to Trade Emblem (2009.g. 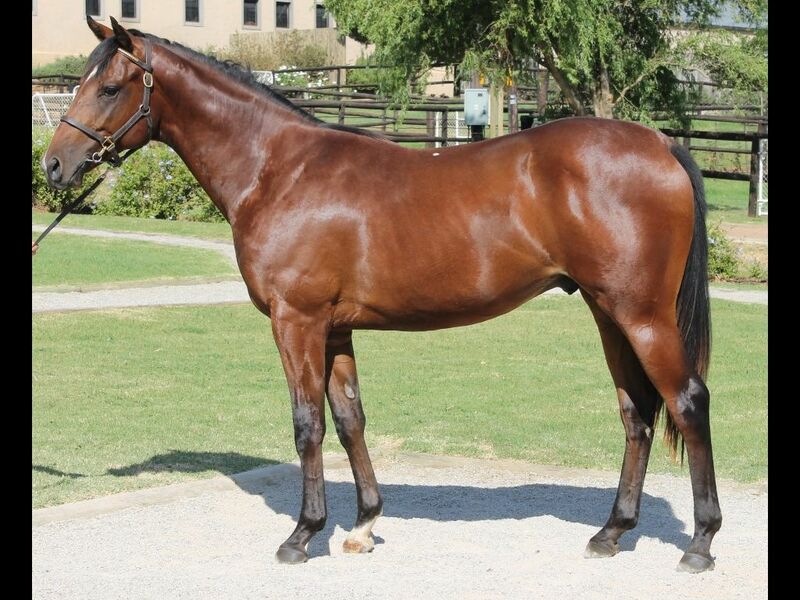 by National Emblem-Winter Conquest, by Western Winter-Imperial Conquest) - 2nd Fairview Racing. 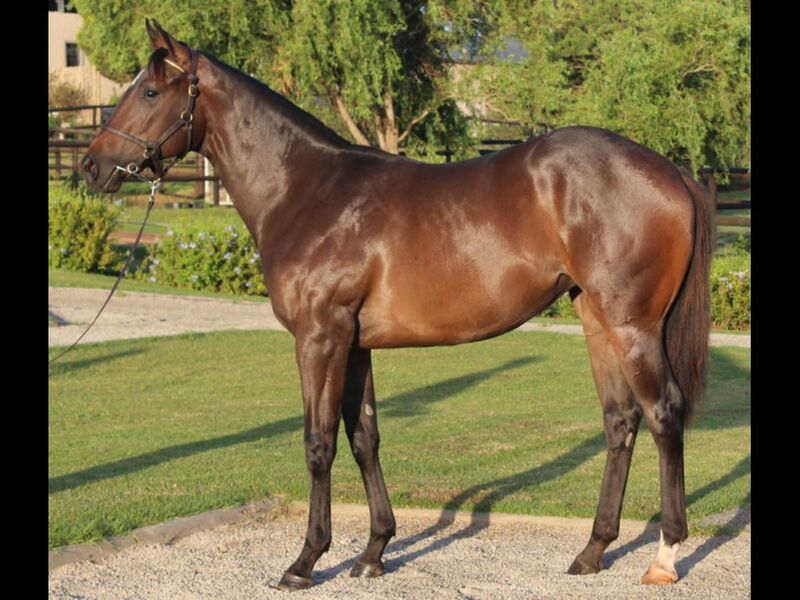 It's a Rush S., 3rd Fairview Racing. 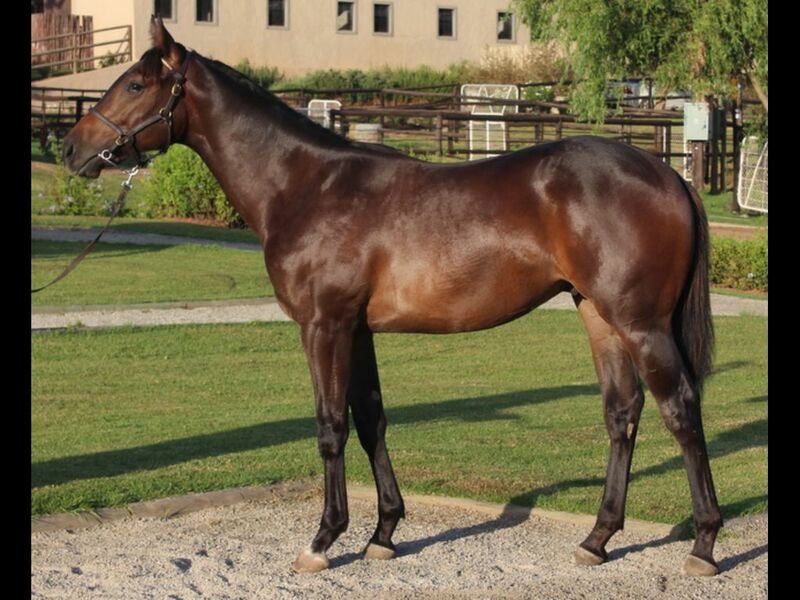 It's a Rush H.
Closely related to Wild Thing (2010.c. 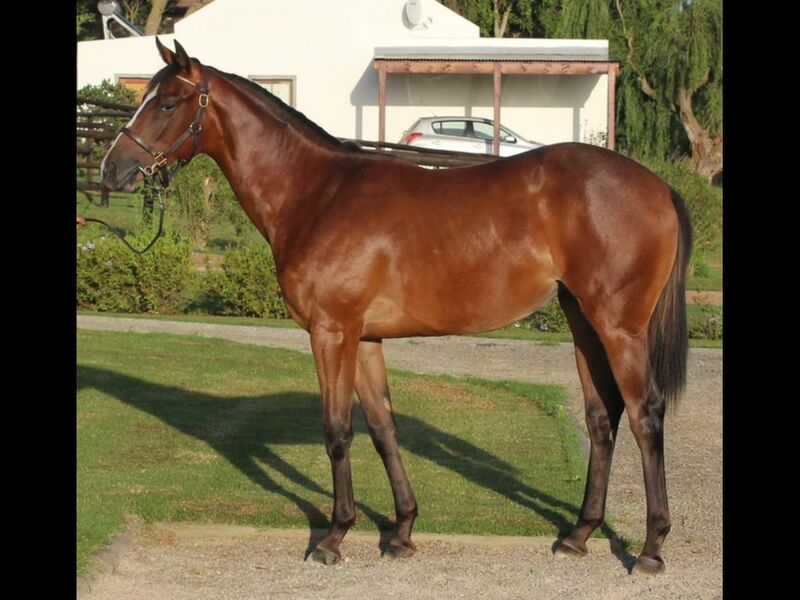 by Var-Golden Fantasy, by Goldkeeper-Dreaming Lily) - 1st Vaal Racing Association H.
Out of a sibling to Spectacular Jet (2010.c. 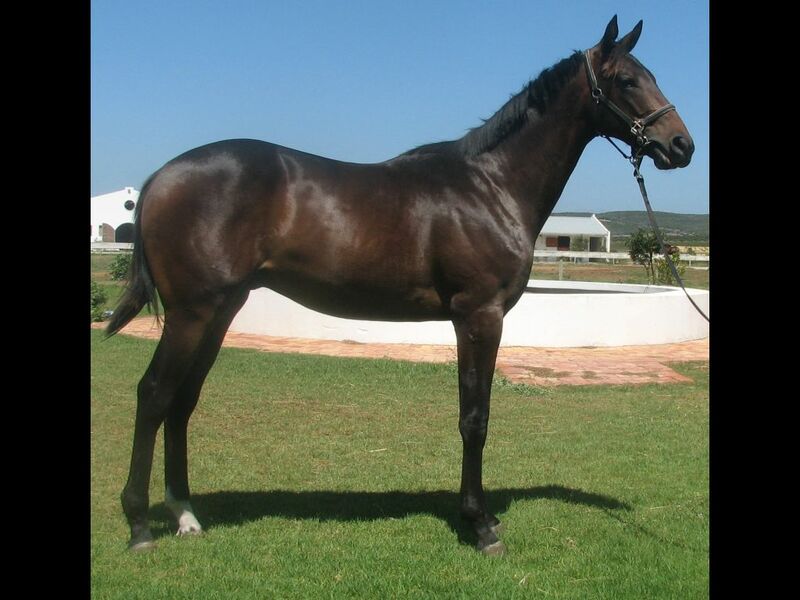 by Jet Master-Watercolours, by Nassipour-Reigntaine) - 1st Fairview Welcome to Fairview Maiden P.
From the same family as Selectify (2010.c. 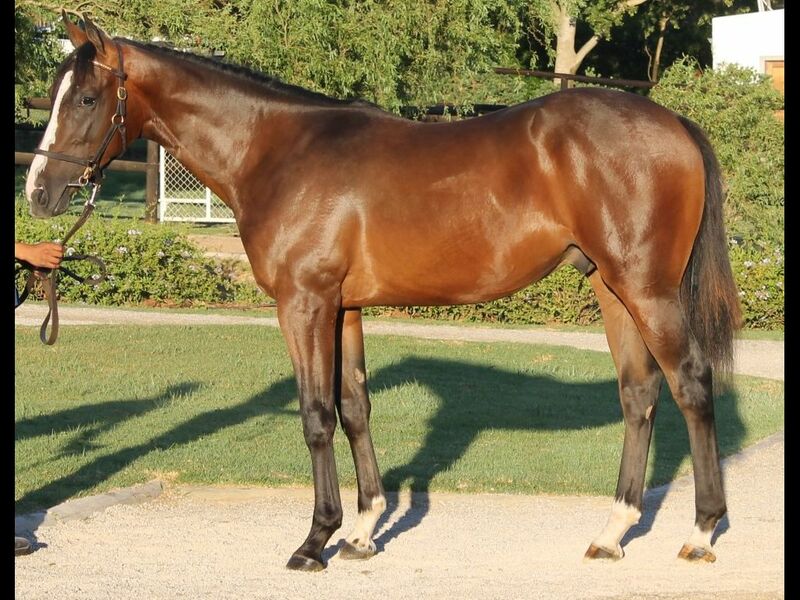 by Redoute's Choice-Personify, by Galileo-Procrastinate) - 1st ATC (Rosehill) TAB Place Multi Sprint H., 1st ATC (Warwick Farm) TAB Rewards H.
From the same family as One Way Ticket (2011.f. 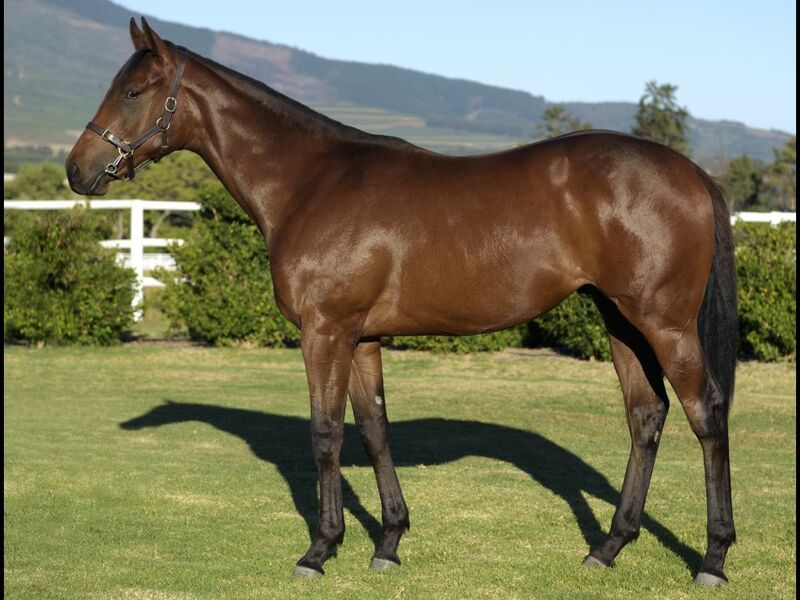 by Jet Master-Dame Kiri, by Flaming Rock-Duzz'nt Miss) - 1st Kenilworth Seasons of Champions Maiden P.
Half-Sister to Alpine Ridge (2011.f. 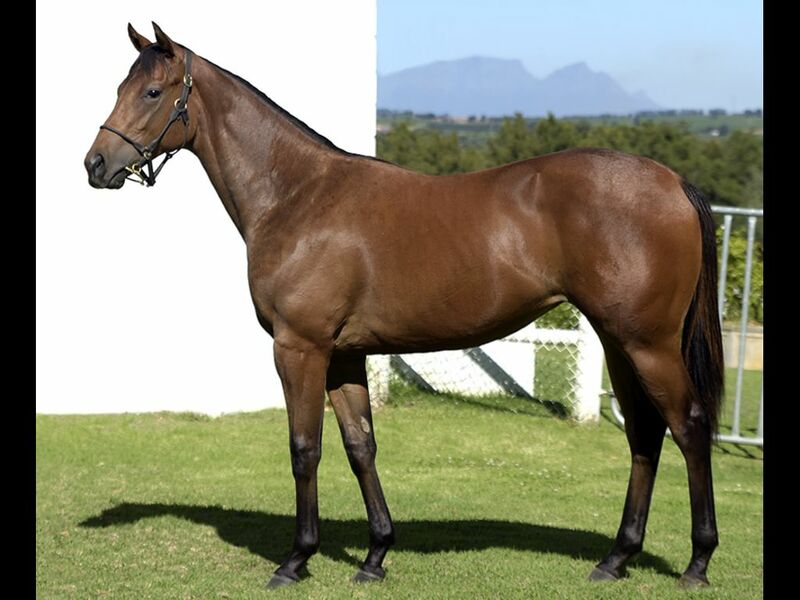 by Go Deputy-Alpine Carole, by Pulpit-Snow Forest) - 1st Scottsville My Seven Winners Maiden P.
Closely related to Littleblacknumber (2011.f. 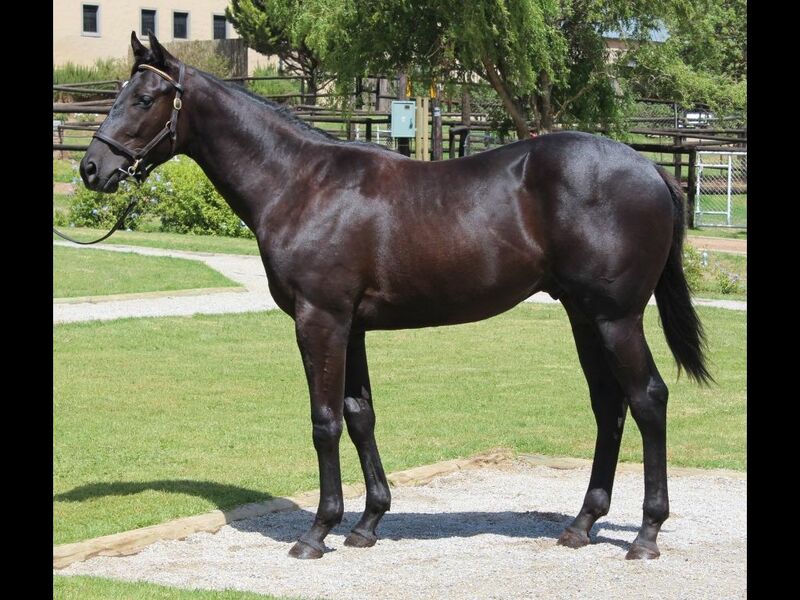 by Black Minnaloushe-Antonia's Pride, by National Assembly-Loyal Linda) - 1st Scottsville Flying Finish P., 1st Greyville Itsarush.Co.Za Graduation P.
Closely related to Antonia's Fortress (2009.f. 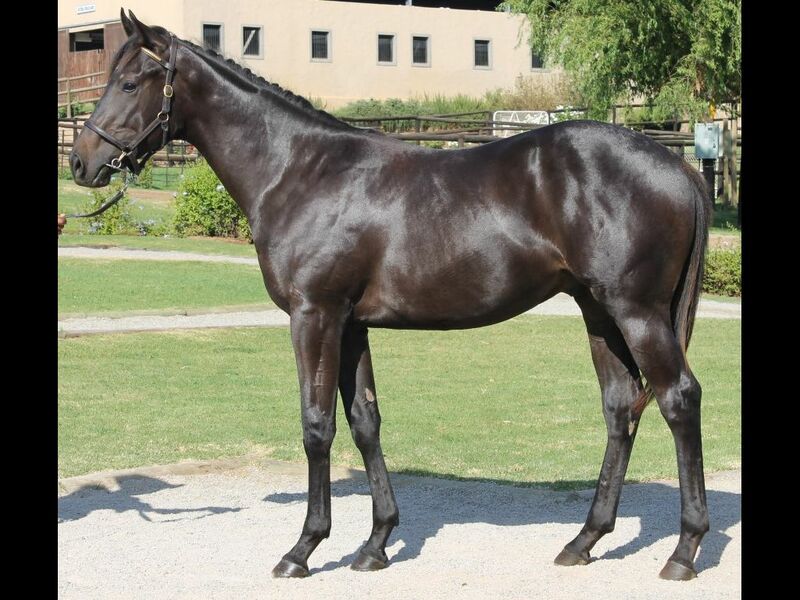 by Fort Wood-Antonia's Pride, by National Assembly-Loyal Linda) - 1st Kenilworth Amalgamated Properties H.
Half-Brother to Smiling Mistress (2010.f. 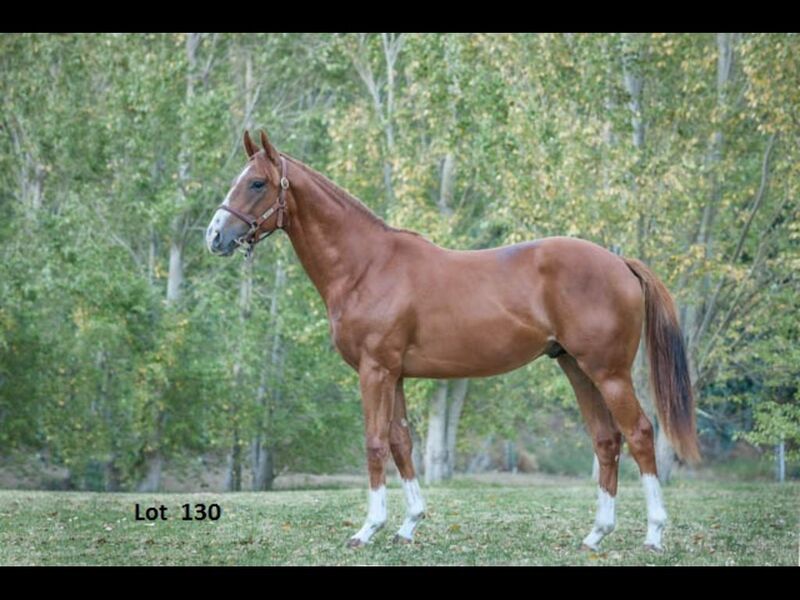 by Antonius Pius-Arch Mistress, by Arch-Mather Miss) - 1st Kenilworth Premier Trophy H., 2nd Kenilworth Franschhoek Motor Museum H.
Closely related to Brettan (2010.g. 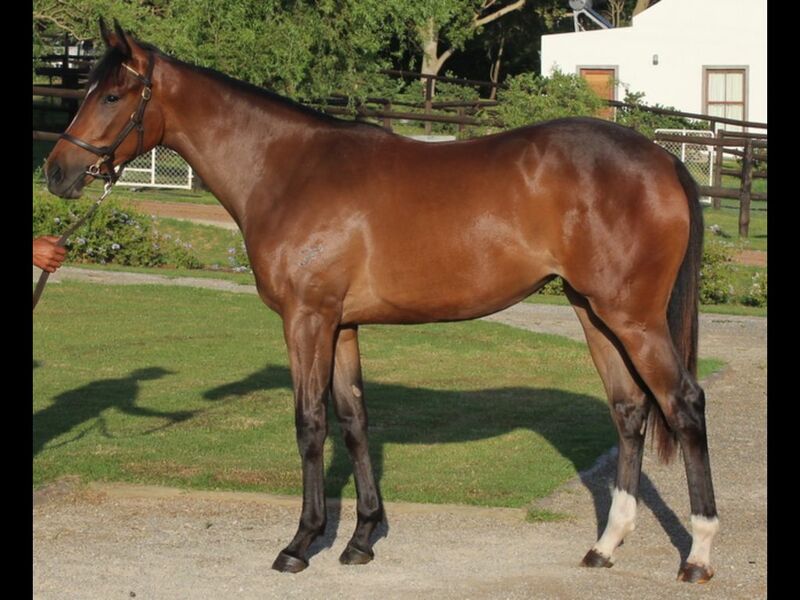 by Commands-Raheights, by Rahy-Laoub) - 1st ATC (Warwick Farm) Tab.com.au H., 1st ATC (Randwick) James Boag's Premium H.
Out of a sibling to Last Sight (2010.c. 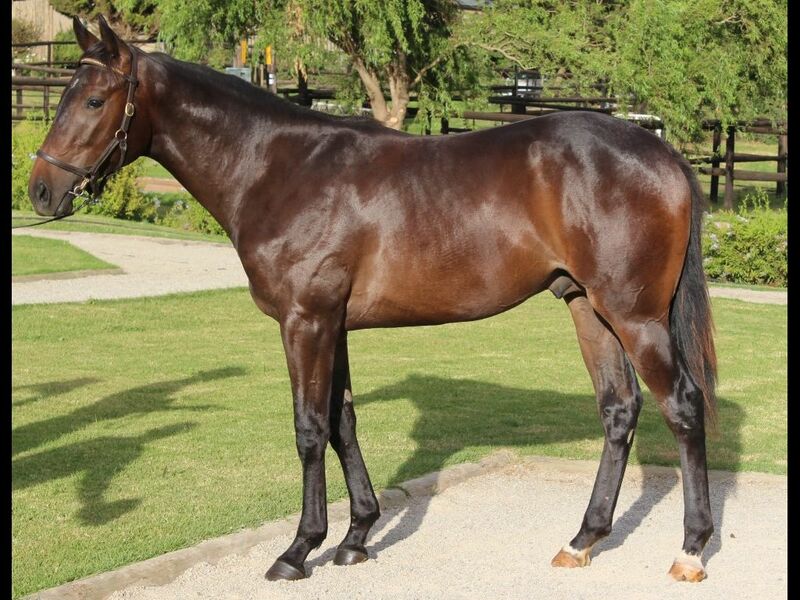 by Fastnet Rock-Arborea, by Imperial Prince-Open Question) - 1st MVRC (Moonee Valley) Sportingbet William Hill H.
Half-Sister to Cherry Tripper (2009.f. 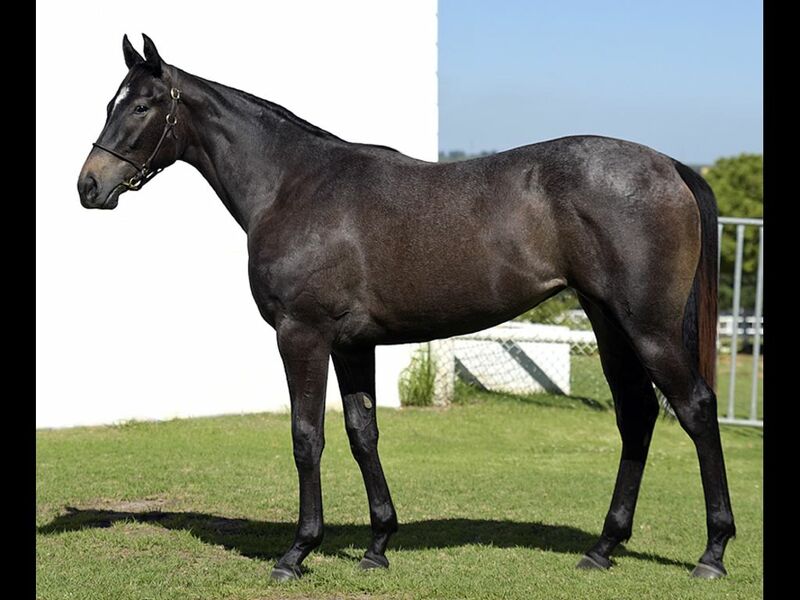 by Var-Cherry Wells, by Kabool-Cherry Pepper) - 2nd Scottsville Itsarush.co.za H., 2nd Greyville Soccer 6 H.
From the same family as YOSHIE (2010.f. 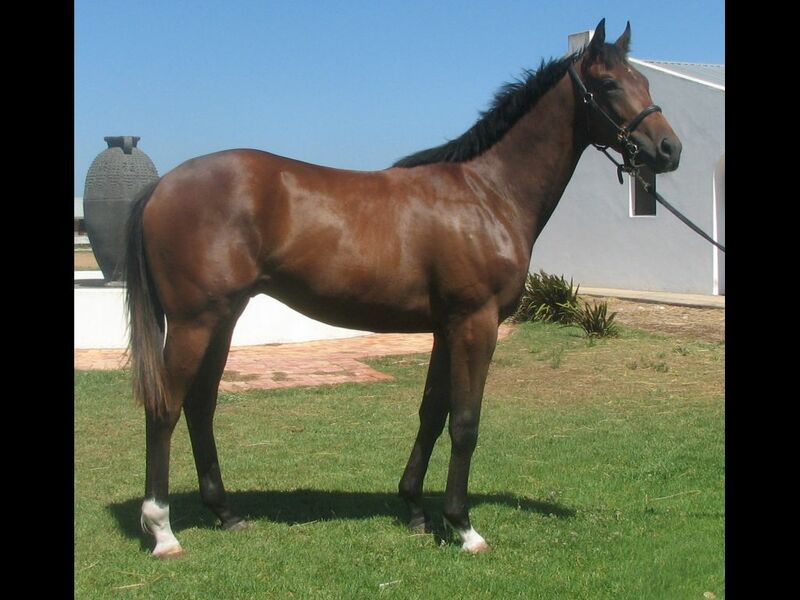 by Antonius Pius-Blushing Fairy, by Jallad-Tarn Fairy) - 1st Fairview Itsarush.Co.Za S.
Closely related to Whatalady (2010.f. 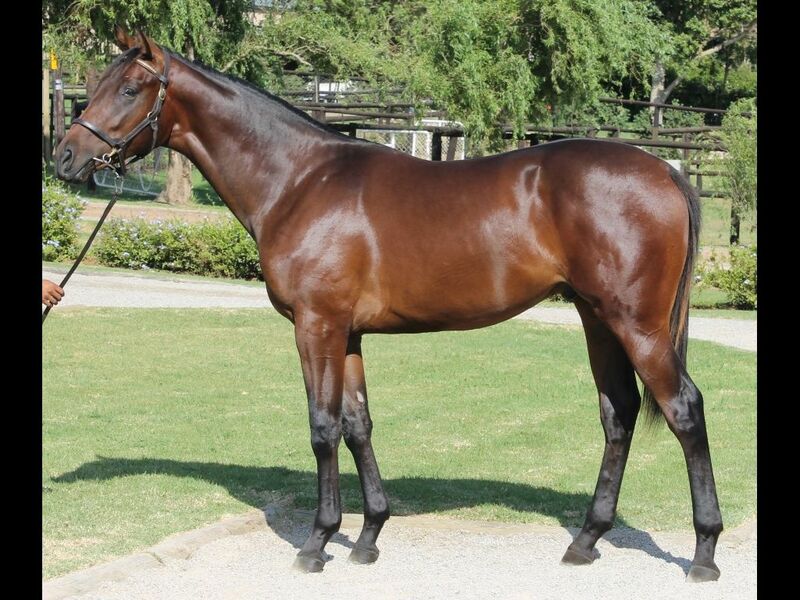 by Jet Master-Vogue, by Model Man-Thousand Nights) - 1st Vaal Itsarush.Co.Za H., 1st Vaal Racing. 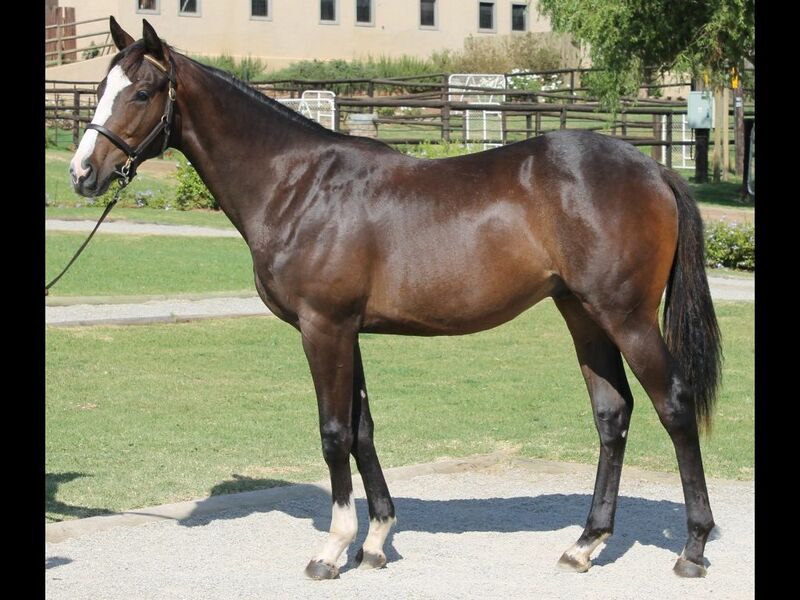 It's a Rush Graduation P.
Half-Brother to Corleoni (2011.c. 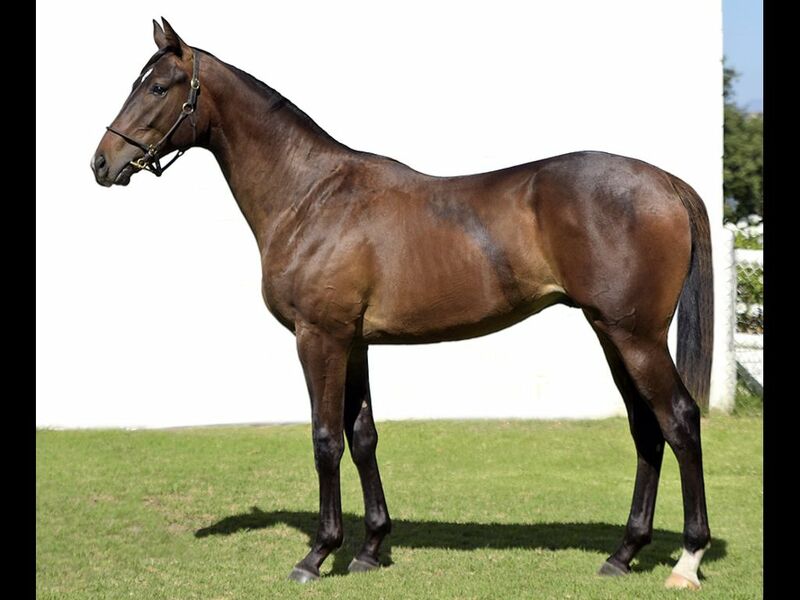 by Trippi-Countess Corlia, by Count Dubois-Corlia's Bid) - 1st Turffontein Soccer 13 Your Biggest Payday for the Lowest Outlay Maiden P., 3rd Turffontein Russells & Joshua Doore Maiden P.
Closely related to Kapitan (2011.c. 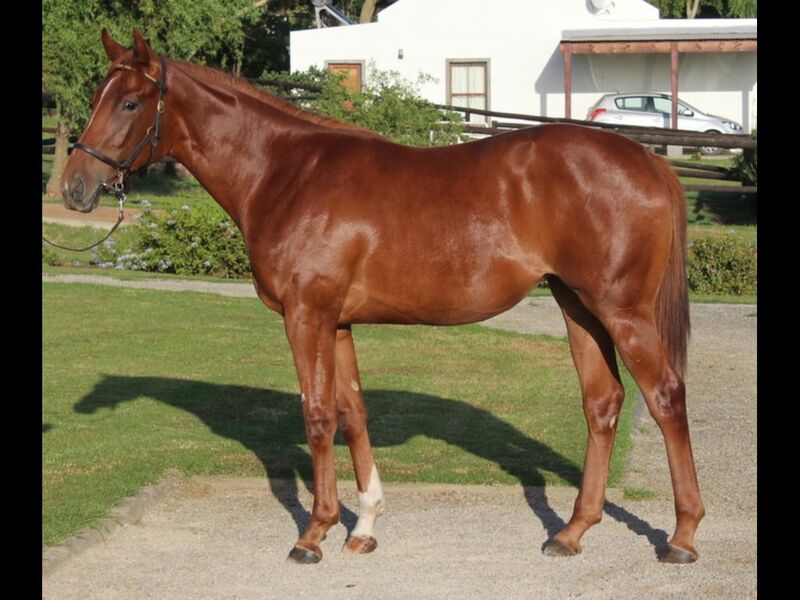 by Captain Al-Katherine, by Rakeen-Corlia's Bid) - 1st Vaal Book a Table H.
Closely related to Petrani (2010.f. 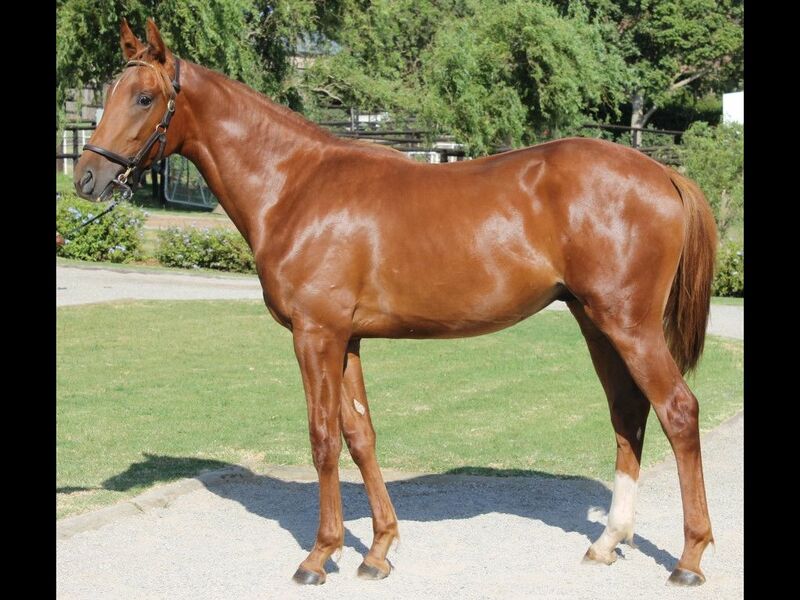 by God's Own-Crying Hussonet, by Hussonet-Beats Crying) - 1st BRC (Doomben) Bundaberg Distilling Company Maiden H.
From the same family as Lavish Gal (2008.f. 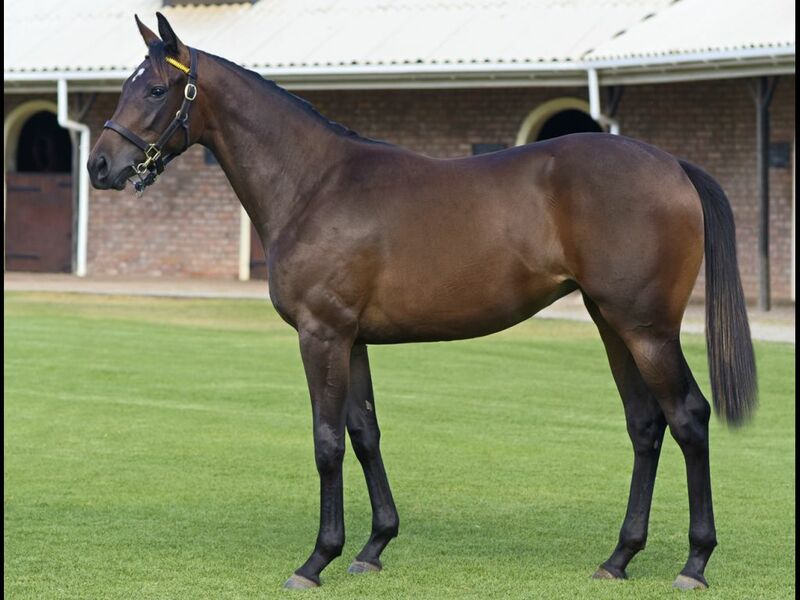 by Makaarem-Lavishly, by West Man-Magic Spender) - 1st Turffontein Best Wishes for 2015 H.
Brother to Gold Cup Girl (2011.f. 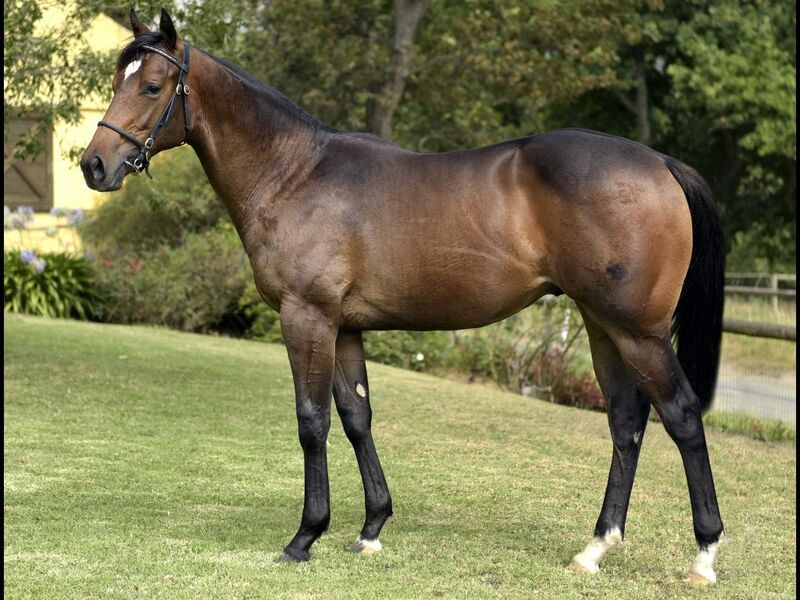 by Black Minnaloushe-Forefront, by Pole Position-Section One) - 1st Turffontein Racing Association H.
Half-Brother to Tiger Territory (2010.g. 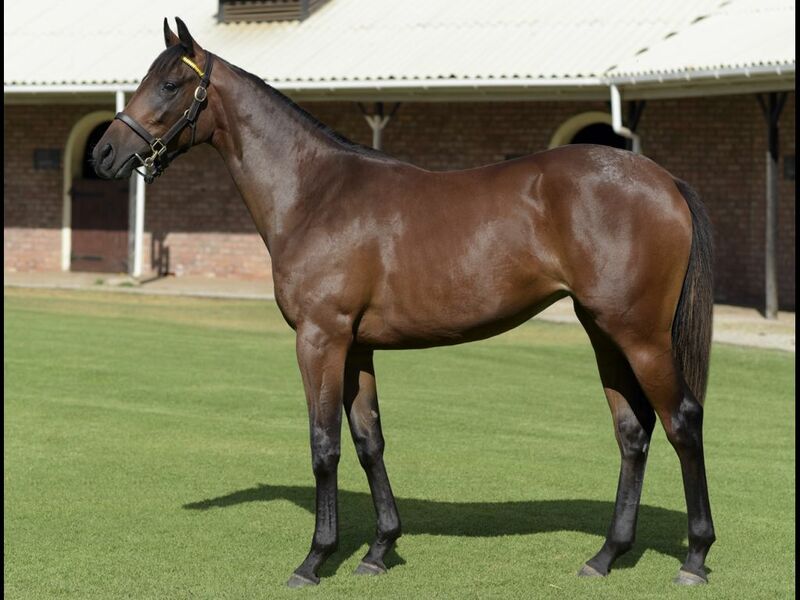 by Trippi-Fragrant Filly, by Model Man-Scented Royal) - 1st Turffontein Mike de Kock Racing H., 1st Vaal Itsarush.Co.Za S., 2nd Turffontein Lebelo Sprint Gr.3, 2nd Turffontein Racing It's a Rush P.
Closely related to Henry Higgins (2008.g. 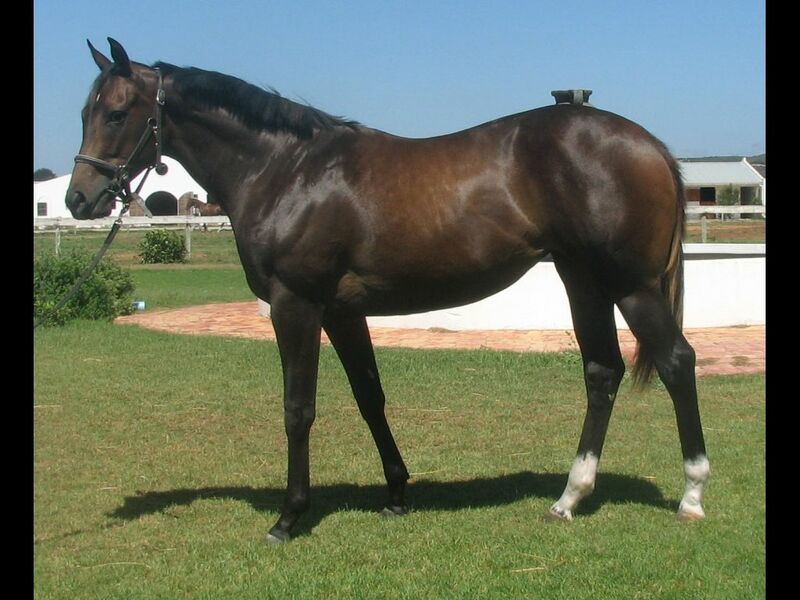 by Caesour-Karukera, by Jallad-Batimamselle) - 1st Turffontein Itsarush.Co.Za H.
Half-Brother to Sun Flash (2009.c. 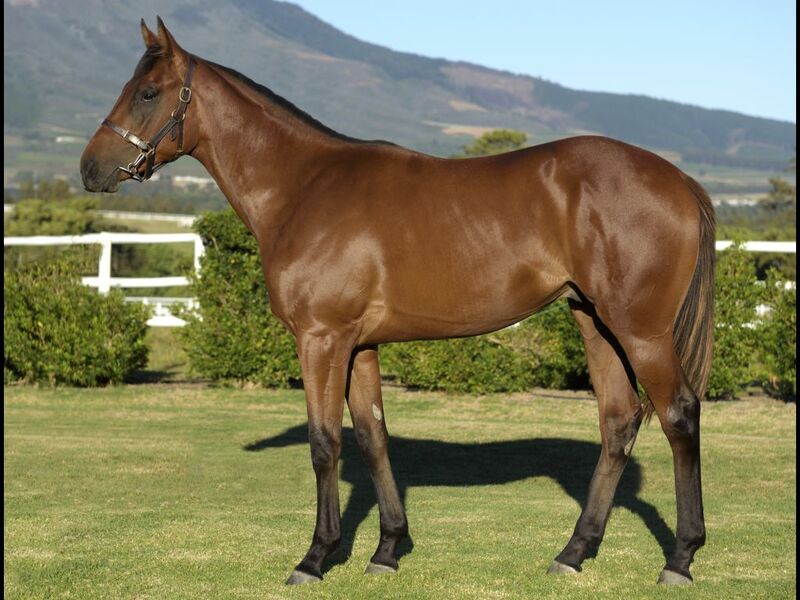 by Spectrum-Glowing Amber, by Deputy Minister-Embur Sunshine) - 2nd Fairview Rugby 5 Maiden P.
Closely related to October Eleventh (2010.g. 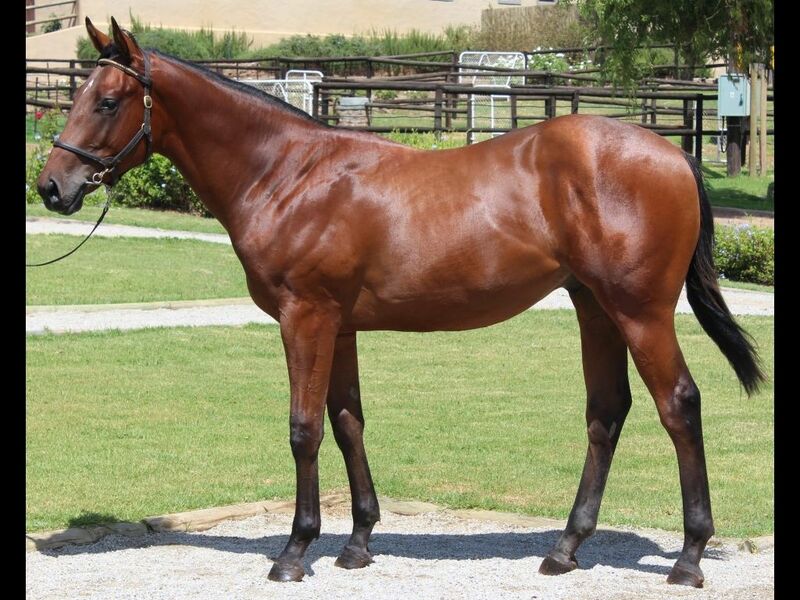 by Var-Quest for Gold, by Jallad-Golden Apple) - 1st Vaal Book a Table H.
Half-Brother to Magic Jay (2012.c. 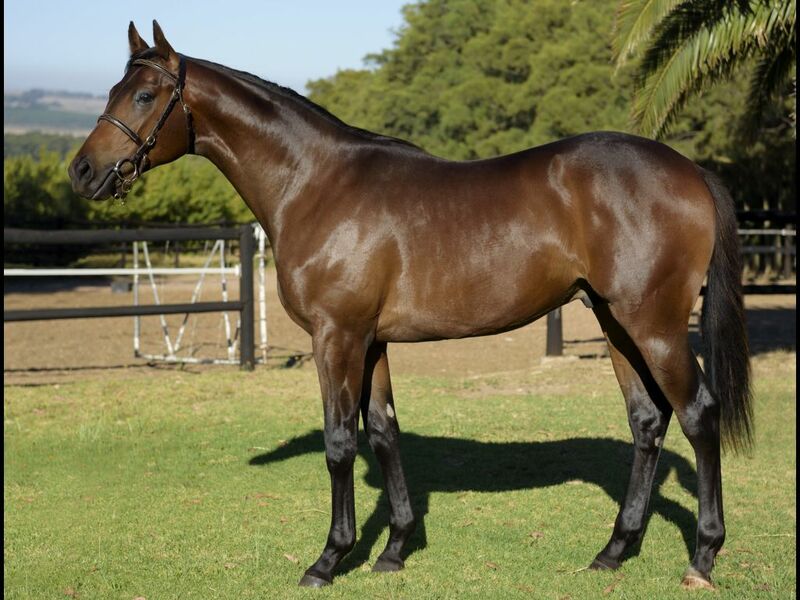 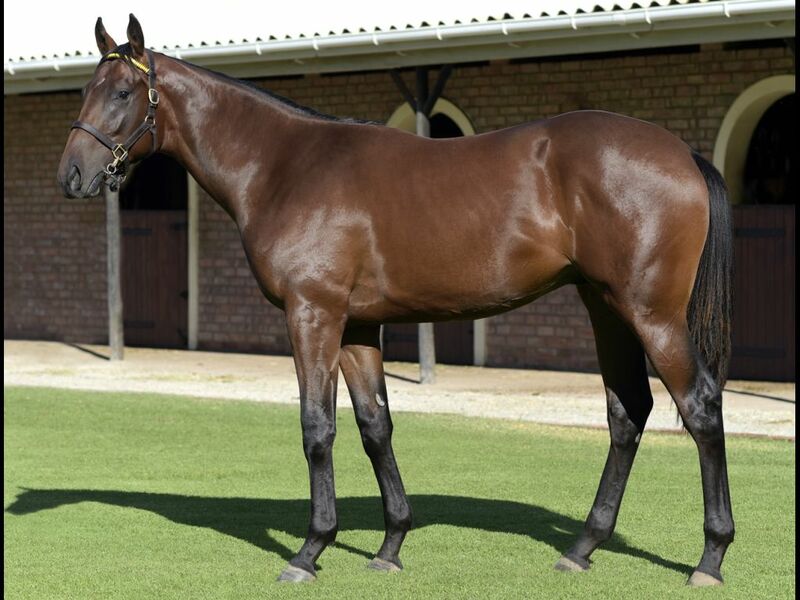 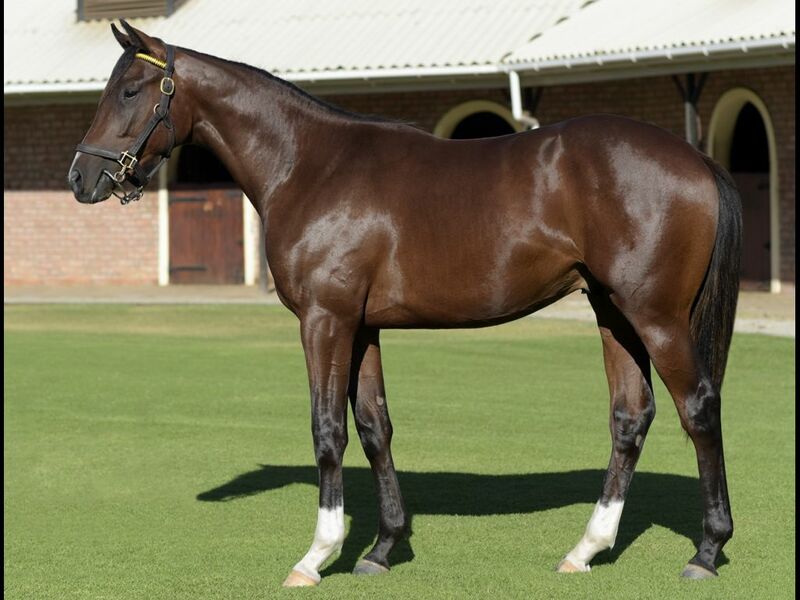 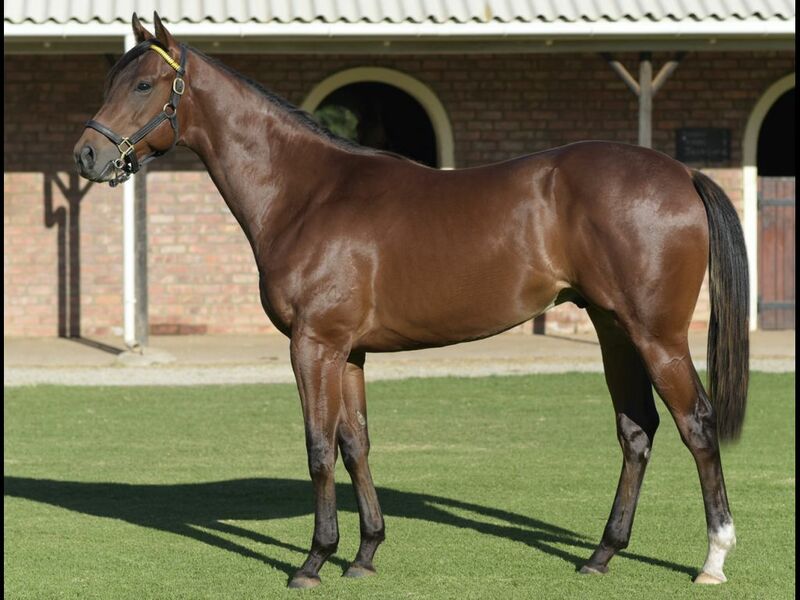 by Jay Peg-Happy Jean, by Charismatic-Jeanie's Gift) - 3rd Kenilworth Welcome to Kenilworth Racecourse Maiden Juvenile P.
Brother to Captain Great (2011.c. 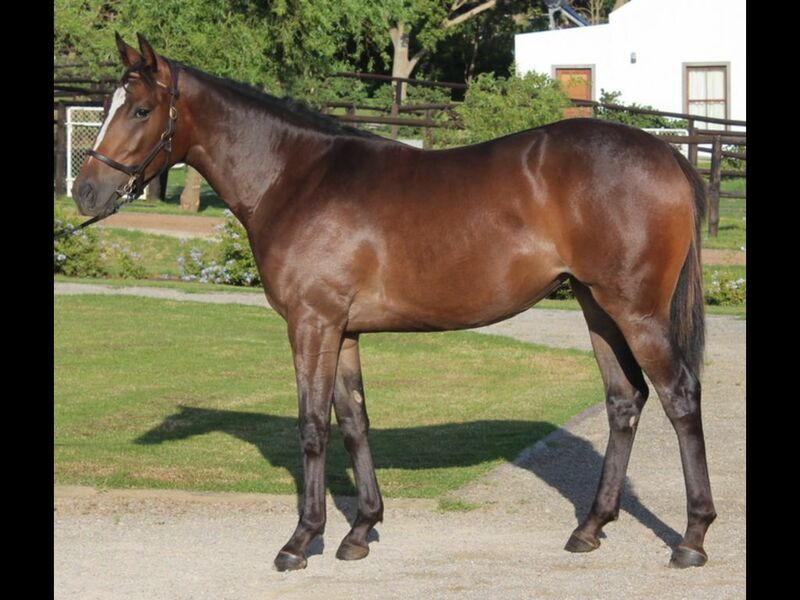 by Captain Al-Hard Lady, by Hard Up-Corsican Lady) - 1st Kenilworth Book Your Ticket Www.Computicket.Co.Za J and B Met Maiden P.
Half-Brother to Chill Spa (2011.f. 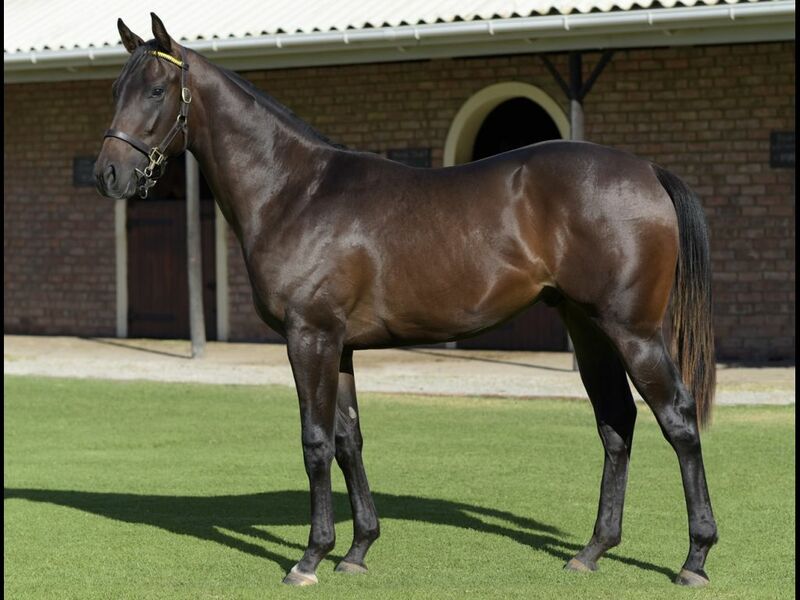 by Fort Wood-Ice House, by Western Winter-Mansion House) - 2nd Kenilworth Investec Maiden P., 3rd Kenilworth Racing. 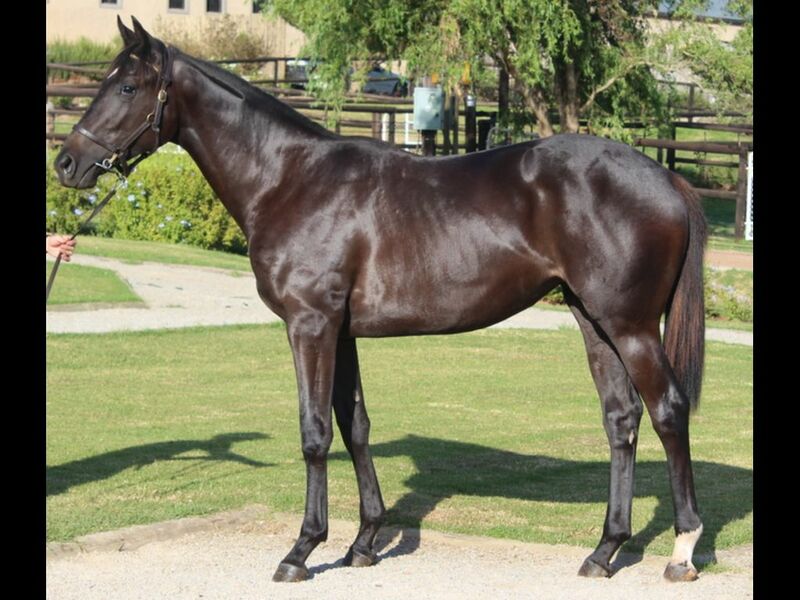 It's a Rush Maiden P.
Half-Brother to No Resistance (2011.c. 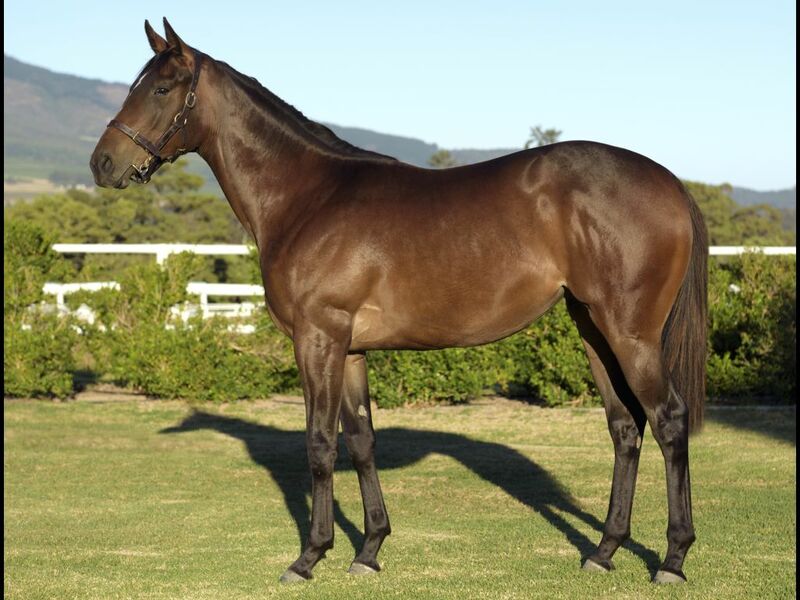 by Jay Peg-Imperial Grace, by Casey Tibbs-Imperial Order) - 1st Kenilworth Wishing You All the Best for the Festive Season Maiden P.
From the same family as Legend Dancer (2008.g. 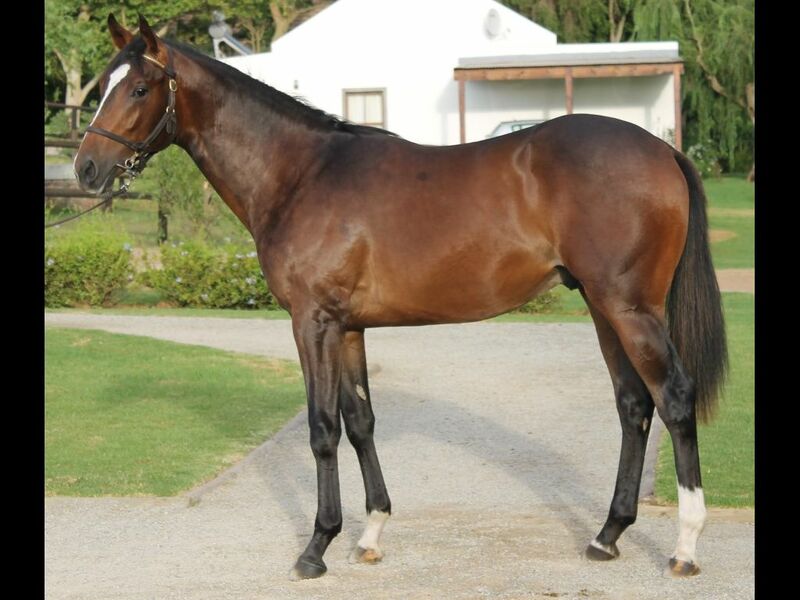 by Black Minnaloushe-Isadora Duncan, by Dancing Champ-In Camera) - 1st Greyville Fastprint Maiden P.
Half-Brother to Irish Hall (2010.c. 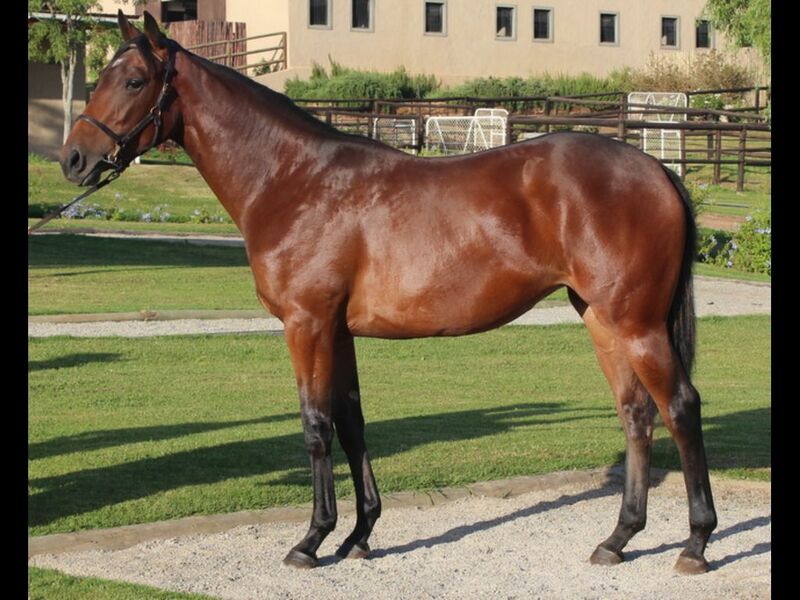 by Albert Hall-Irish Tale, by Lecture-Erin Scent) - 2nd Fairview Welcome to Fairview Racecourse Maiden P., 2nd Fairview Welcome to Fairview Maiden P.
Brother to Fly Phillippa (2011.f. 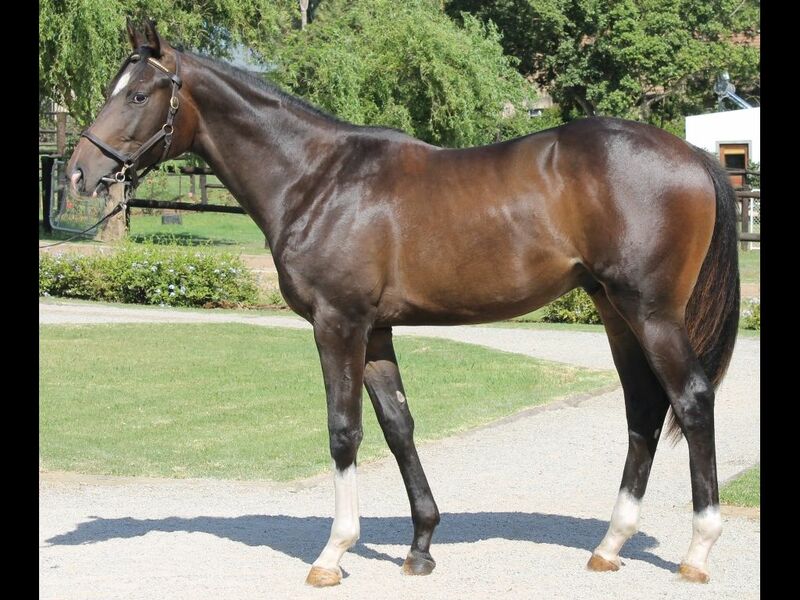 by Dynasty-Kelly's Olympics, by Kingmambo-Ophidian) - 1st Turffontein Investec Maiden P.
Half-Brother to Speedy Suzy (2012.f. 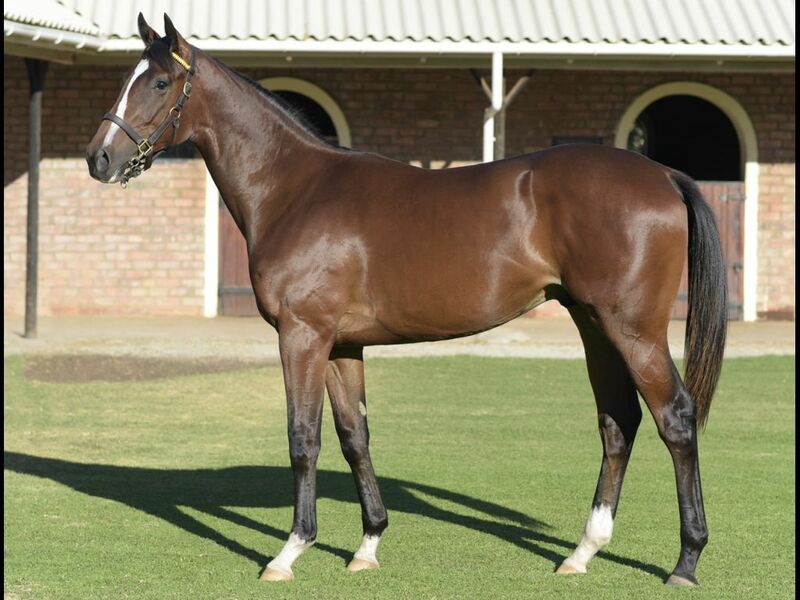 by Trippi-Kelly's Olympics, by Kingmambo-Ophidian) - 1st Turffontein All to Come Maiden Juvenile P.
Half-Sister to National Road (2008.g. 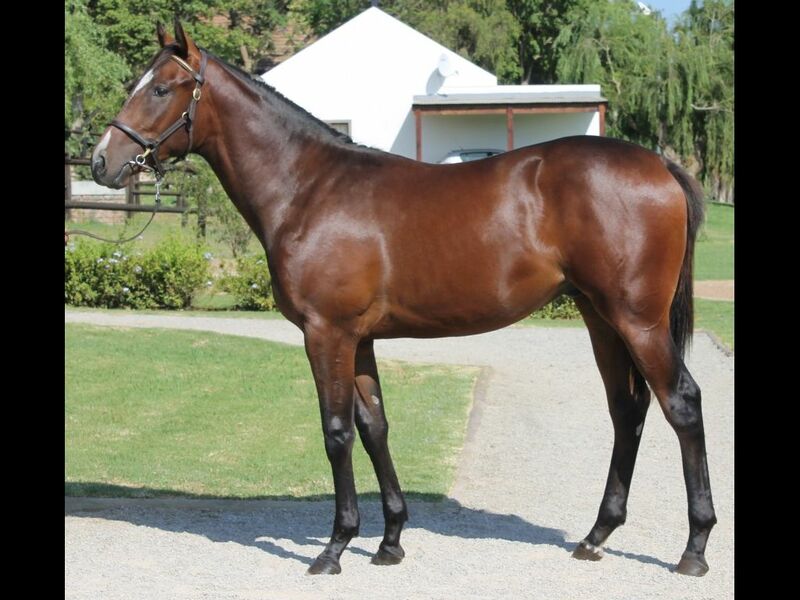 by National Emblem-Killaney Road, by Northern Guest-Road to Victory) - 2nd Fairview Racing. 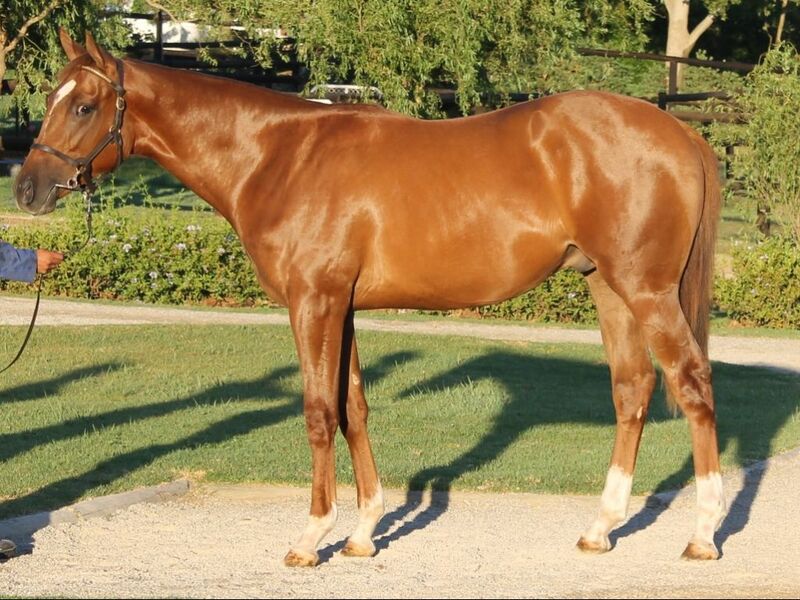 It's a Rush H.
From the same family as RED BARREL (2008.g. 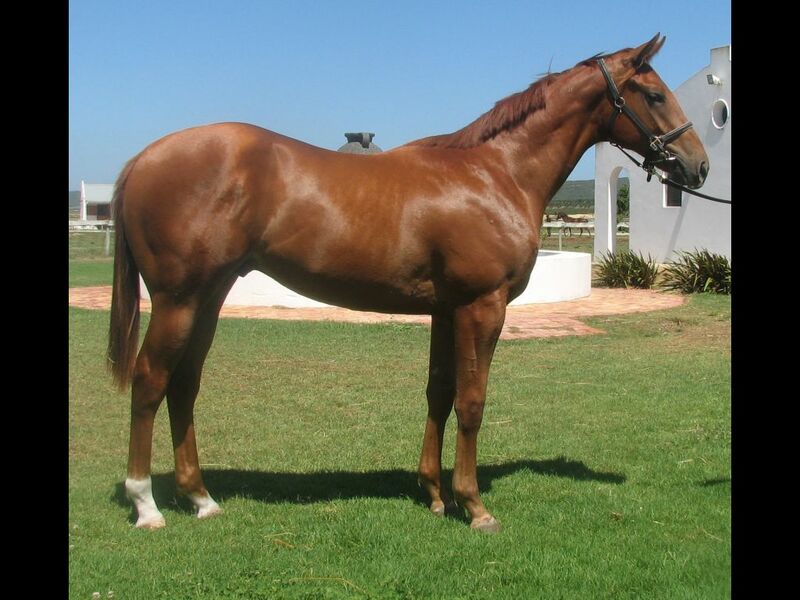 by Right Approach-Red Kaschka, by Elliodor-Rhapsody in Red) - 1st Fairview Memorial Mile L, 1st Fairview Racing. 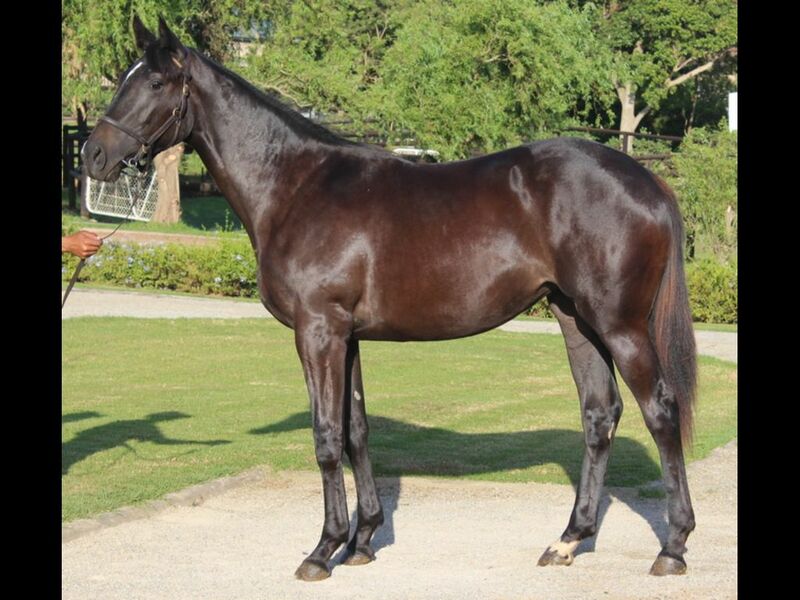 It's a Rush S.
Half-Brother to Cheshire Cat (2009.g. 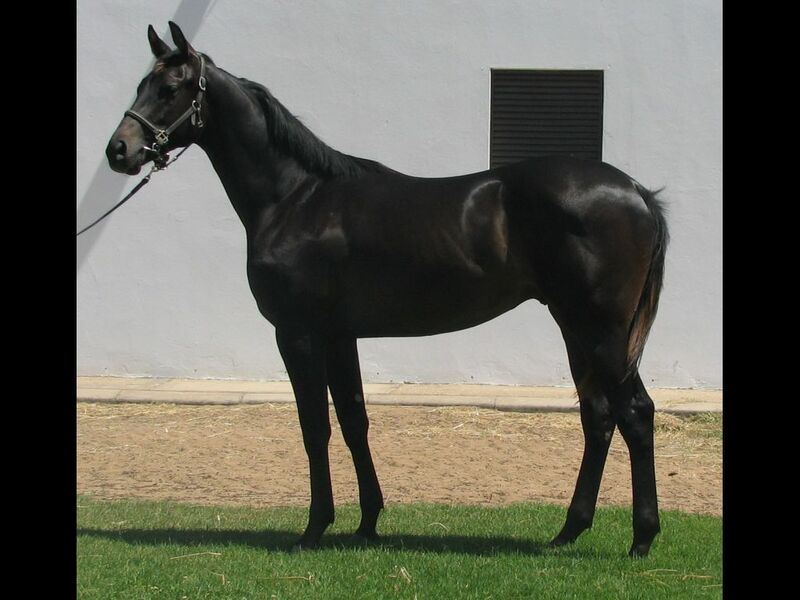 by Black Minnaloushe-Lady Onassis, by National Assembly-Lady Barnard) - 3rd Scottsville Soccer H.
Half-Brother to Eurozone (2011.c. 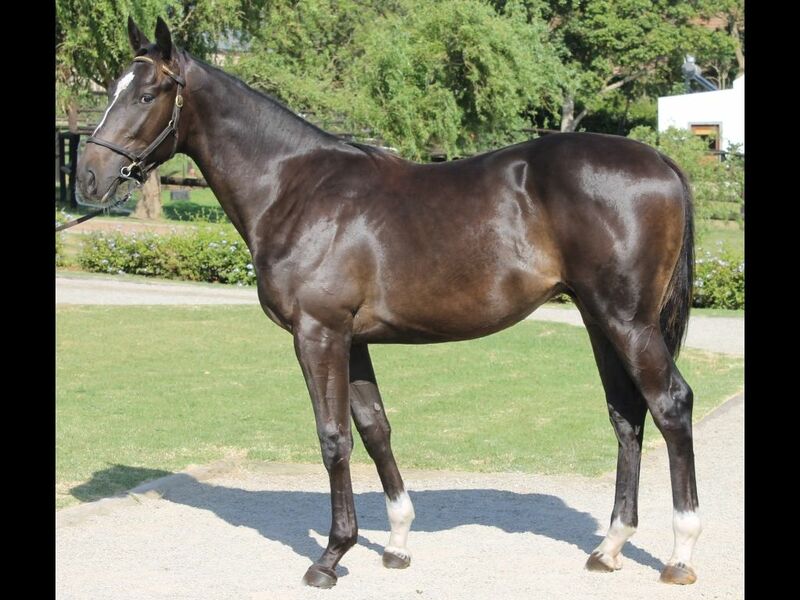 by Judpot-Lady Onassis, by National Assembly-Lady Barnard) - 2nd Vaal Welcome to Turffontein Maiden P.
Half-Brother to Patons Plea (2010.f. 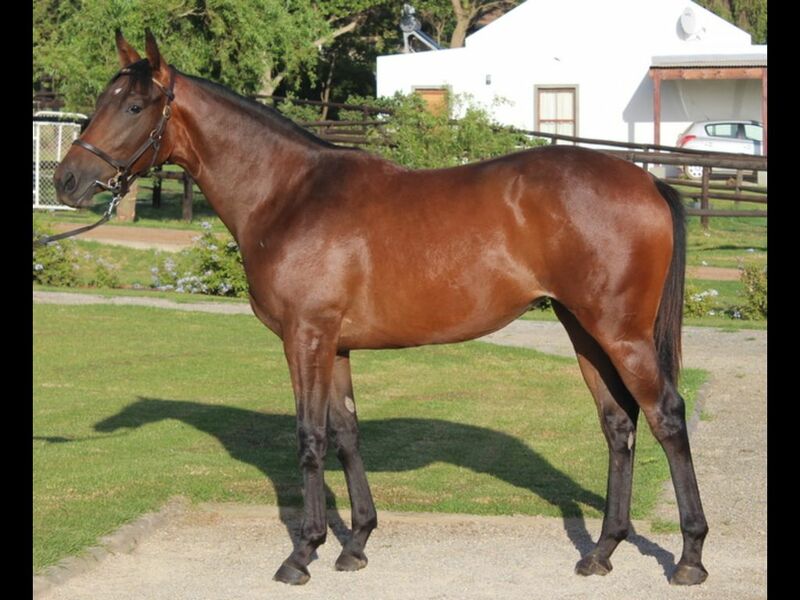 by Var-La Patoneur, by Badger Land-Skating) - 3rd Fairview Rugby 5 Maiden P.
Half-Brother to In Limine (2011.f. 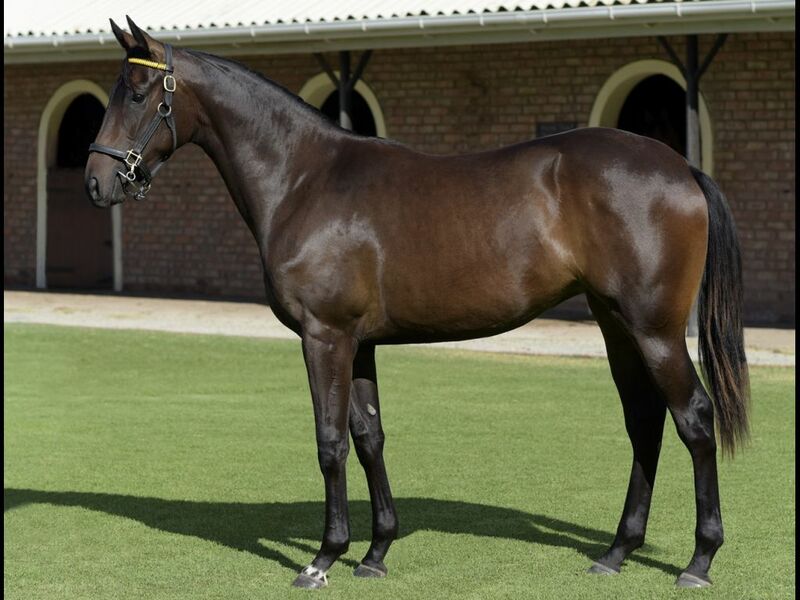 by Jay Peg-Larking Around, by Montjeu-Making Whoopee) - 3rd Kenilworth Sun Classique H. L, 3rd Kenilworth Racing Its'a Rush H.
Half-Sister to Triumvirate (2010.g. 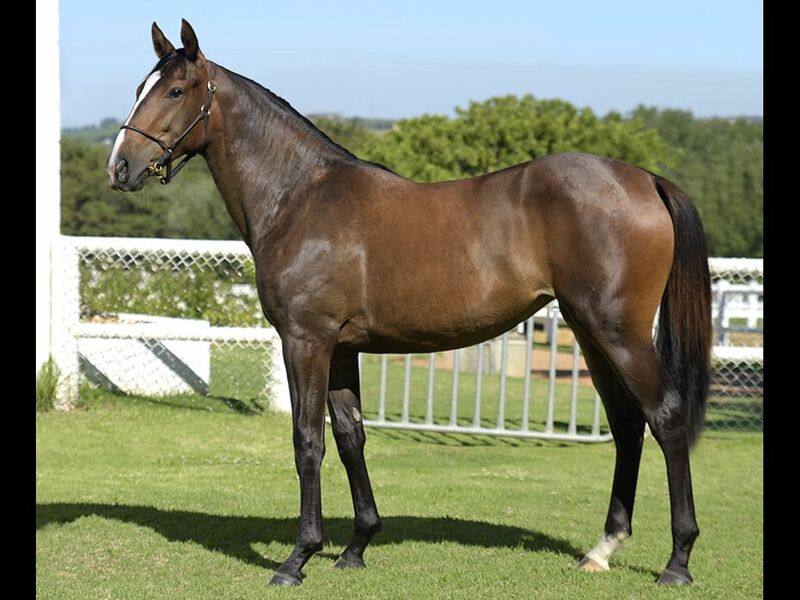 by Holy Roman Emperor-Late Summer, by Gone West-Sun and Shade) - 2nd Griqualand Welcome to Flamingo Park Maiden P., 2nd Griqualand Soccer GG Maiden P.
From the same family as COLTRANE (2009.g. 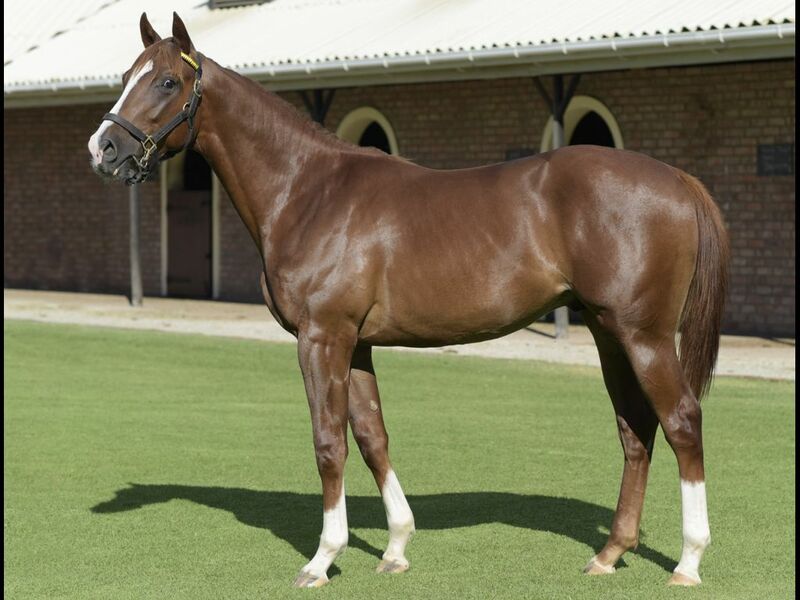 by Giant's Causeway-Nuance, by Rainbow Quest-Madame Dubois) - 1st Kenilworth Cape Summer Stayers H. Gr.3, 1st Kenilworth Jeppe's Reef S.
Half-Brother to MACCHIATO (2006.g. 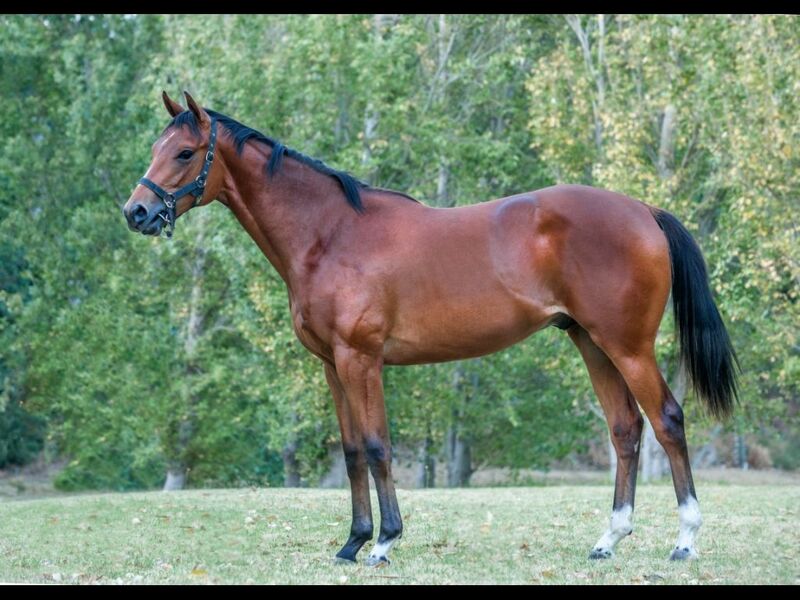 by Jet Master-Mabola Plum, by Fort Wood-Michabo) - 2nd Borrowdale Zimnat Insurance Company H.
Closely related to First Flight (2010.g. 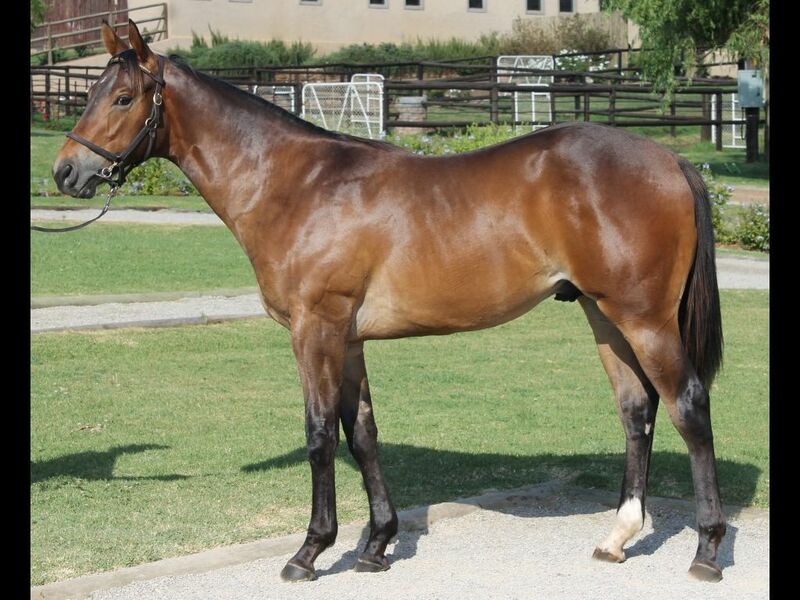 by Jet Master-Summer Rose, by Al Mufti-Mabola Plum) - 1st Greyville Itsarush.Co.Za H.
Half-Sister to Ice Pack (2010.c. by Western Winter-Magic Filly, by Bletchley Park-Magic Pak) - 1st Greyville Track and Ball Gaming Maiden P., 3rd Greyville Save the Children Maiden P.
Half-Brother to Virtual Emblem (2010.c. 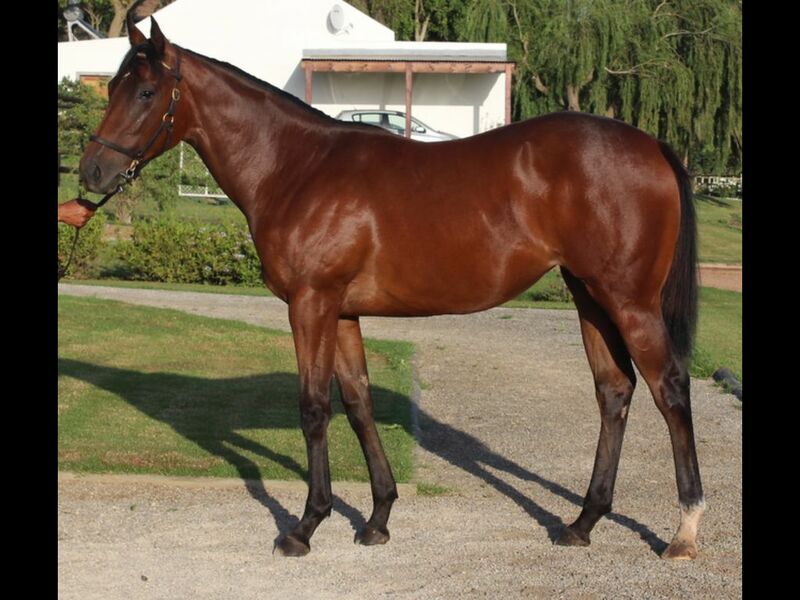 by Jay Peg-Main Emblem, by National Emblem-Mahanna) - 3rd Fairview Racing Association Novice P.
Out of a sibling to Royal Roy (2009.g. 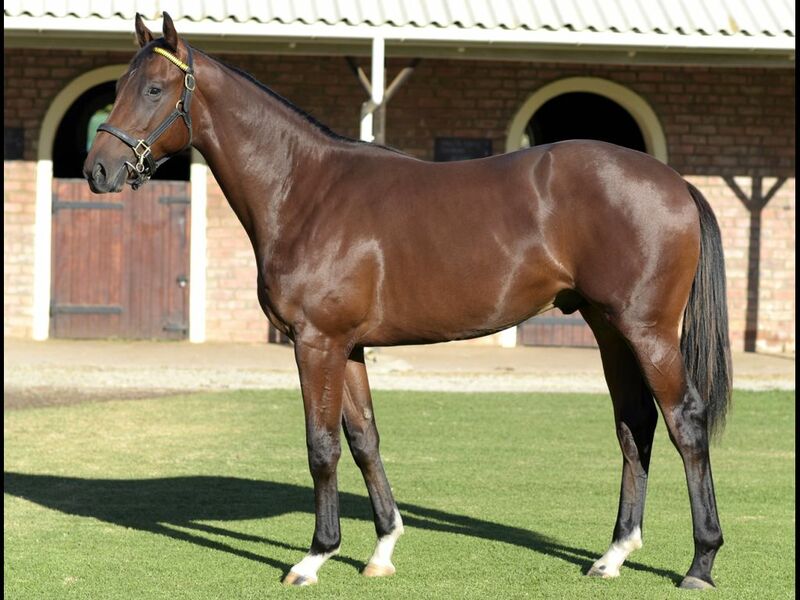 by Dylan Thomas-Needham Star, by Mt. 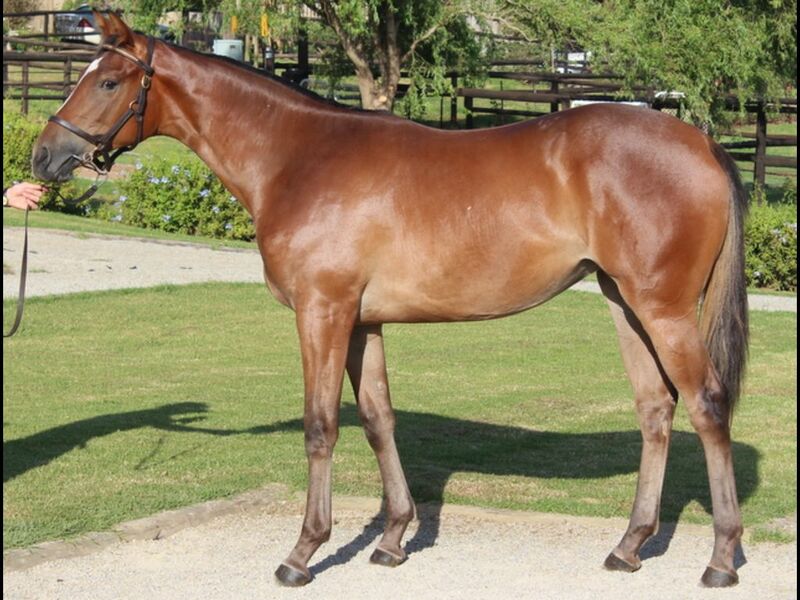 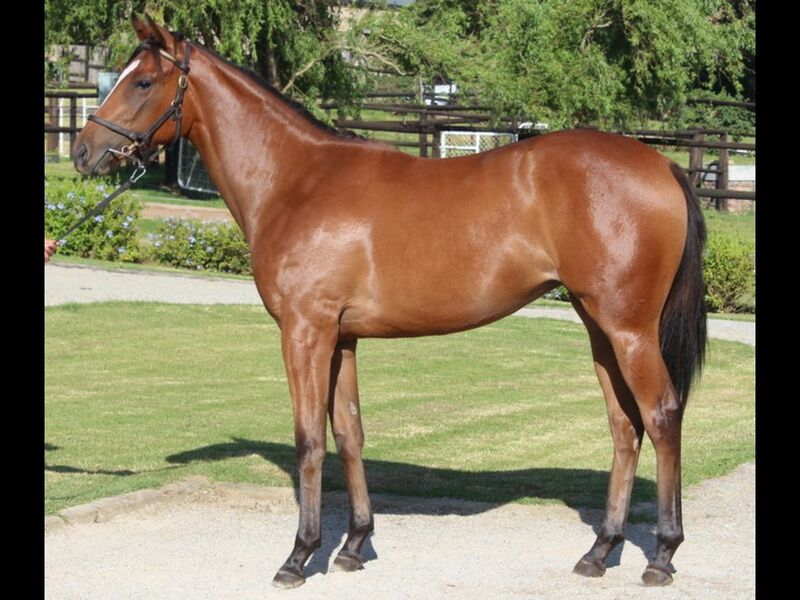 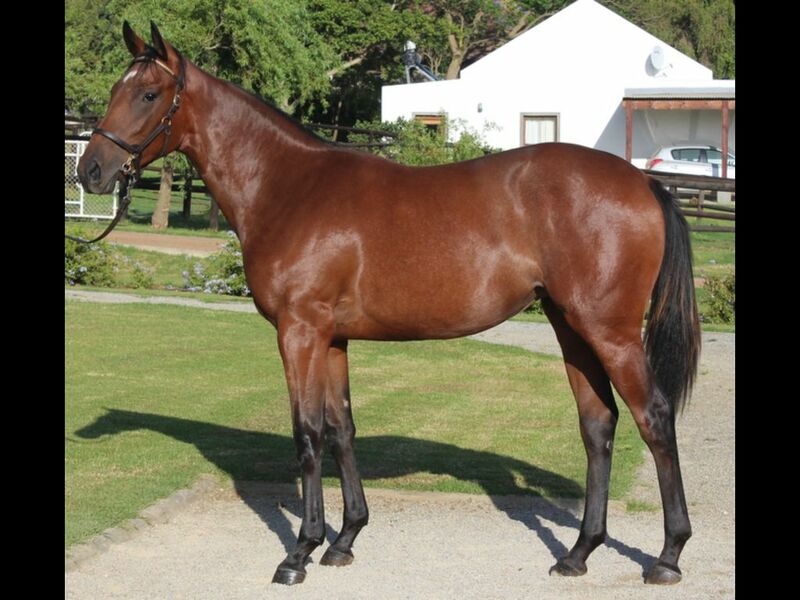 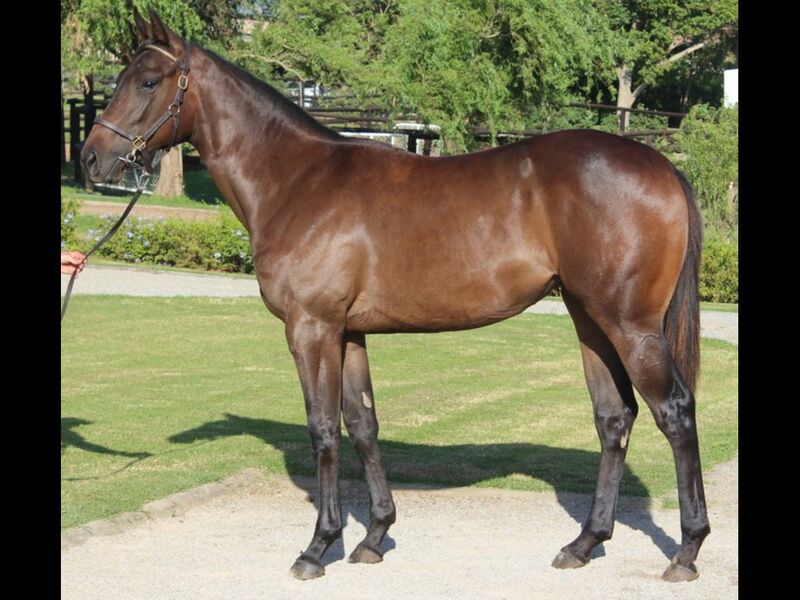 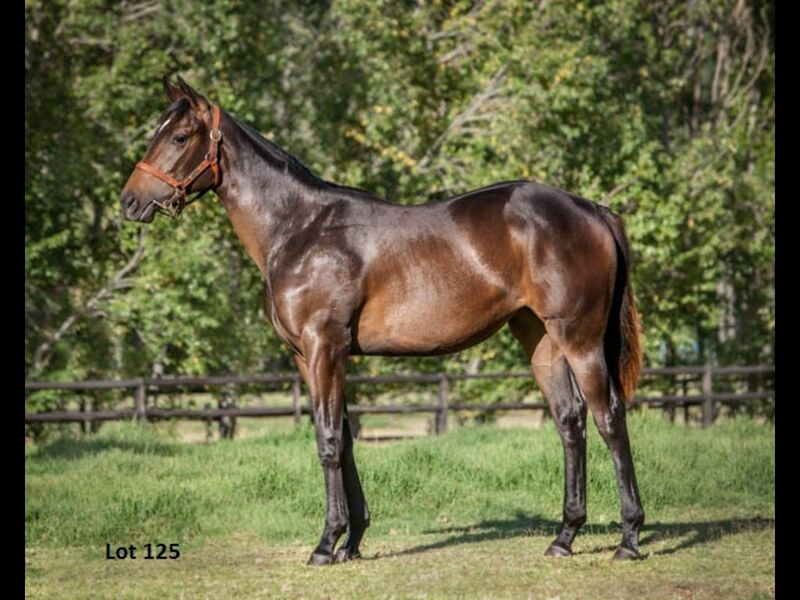 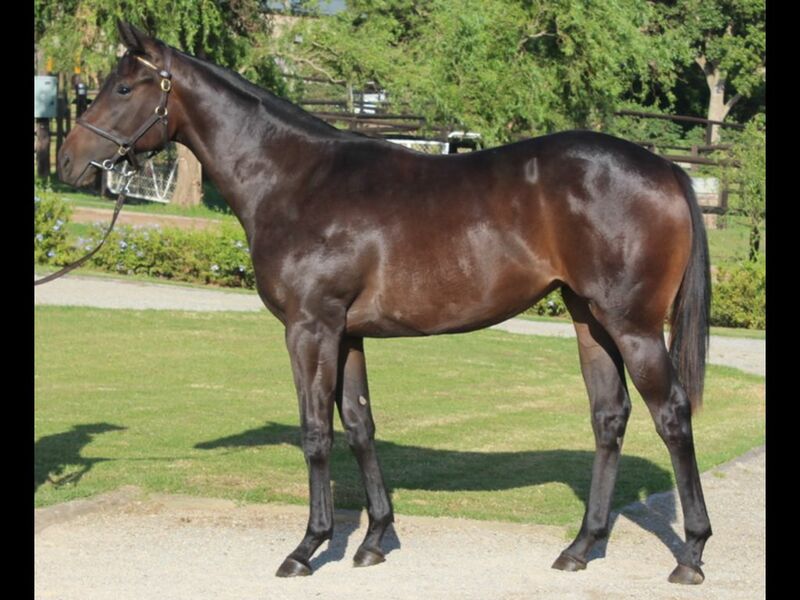 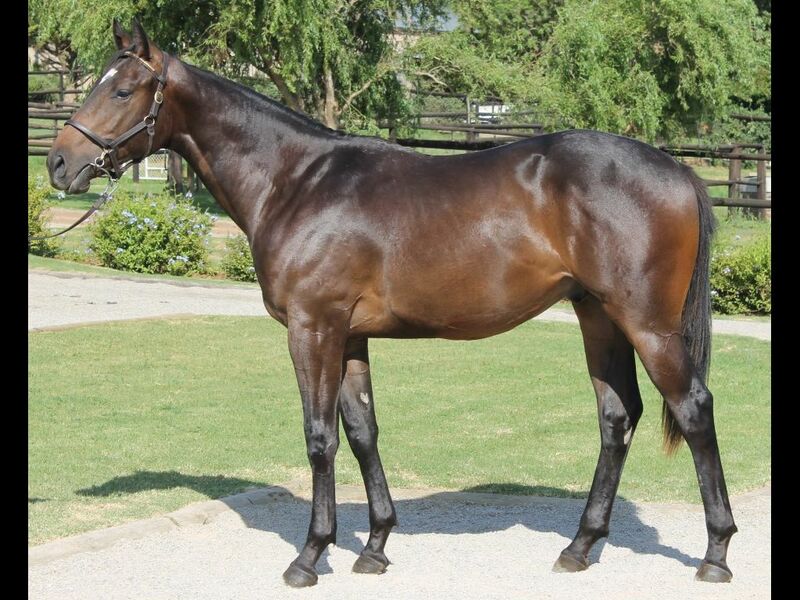 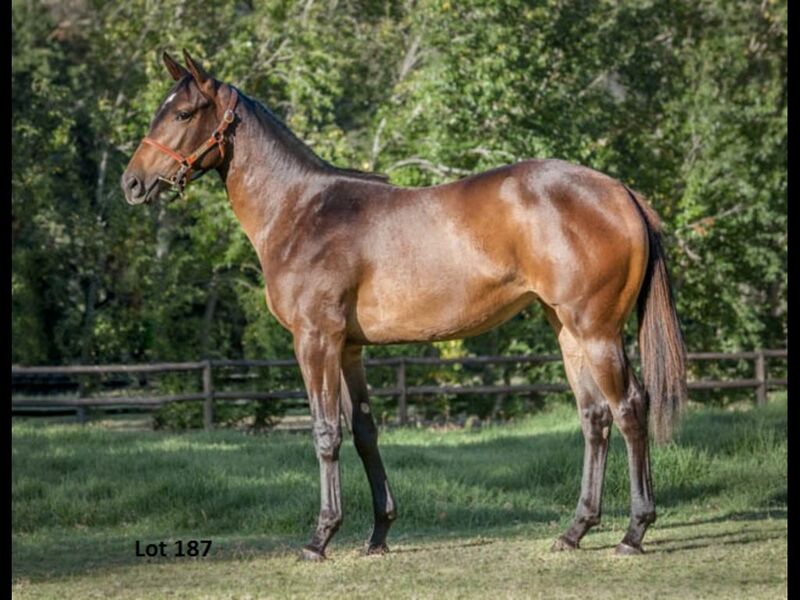 Livermore-Passing Gull) - 1st Greyville Natty Moodley and Associates H.
Half-Sister to Seventh Circle (2011.f. 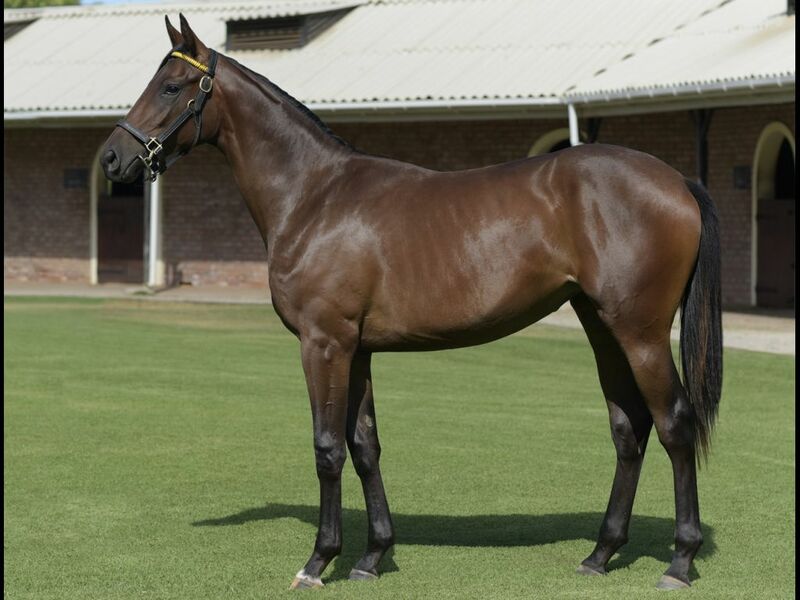 by Seventh Rock-Millvale, by King's Best-La Papaya) - 3rd Scottsville Rugby 5 Maiden P.
Closely related to Seguidilla - Charity Kingdom (H.K.) 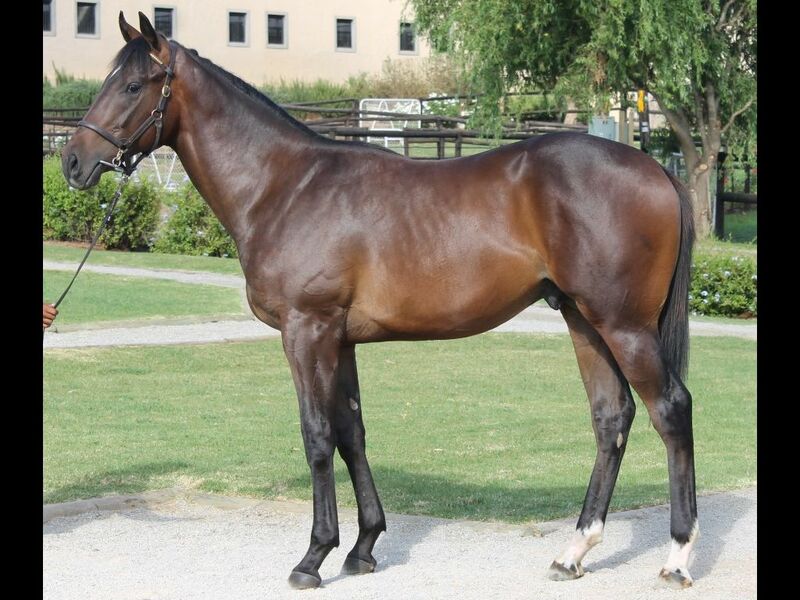 (2010.g. 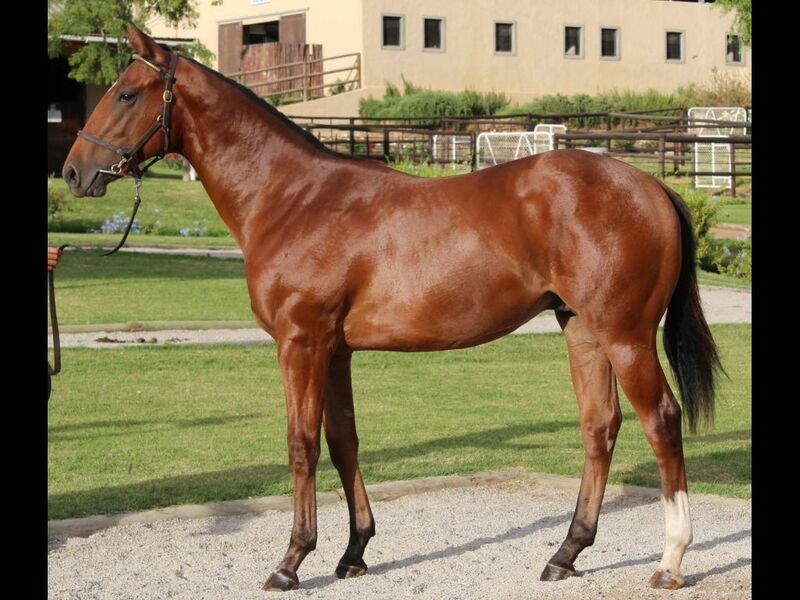 by Charge Forward-Jig Time Lady, by Zeditave-La Papaya) - 1st HKJC Robin's Nest H.
Half-Brother to Matari (2011.f. 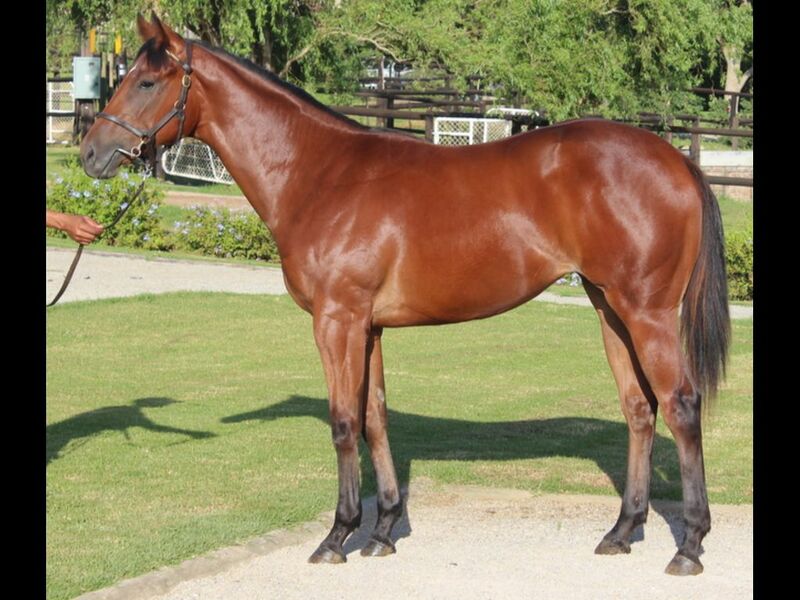 by Silvano-Mocha Java, by National Assembly-Mabola Plum) - 2nd Kenilworth Skyy Vodka Maiden P.